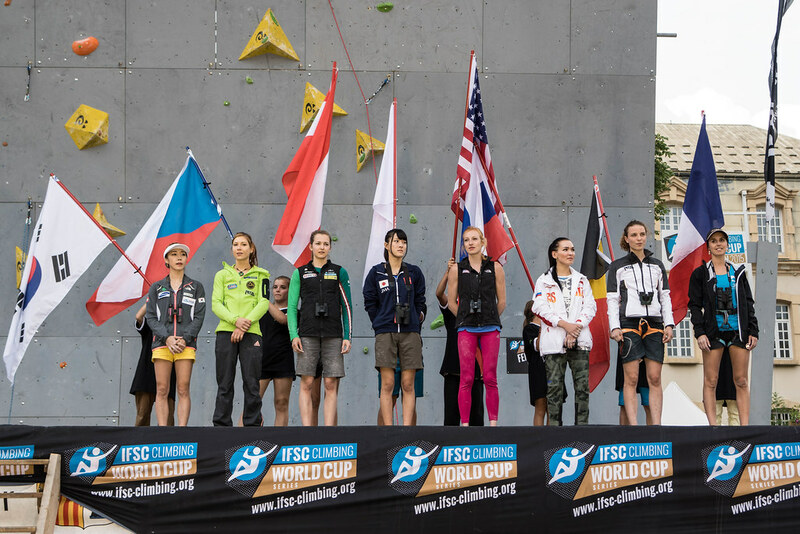 Janja Garnbret extended her winning streak to three on Saturday and Slovenian teammate Domen Skofic earned his second Gold of the season at the third Lead World Cup of 2016. 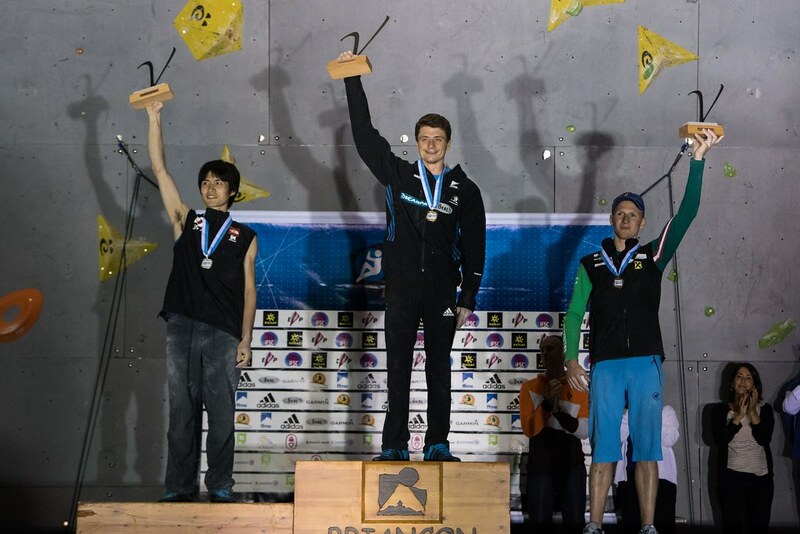 After missing the Finals in Villars, Skofic returned to his winning ways this weekend. 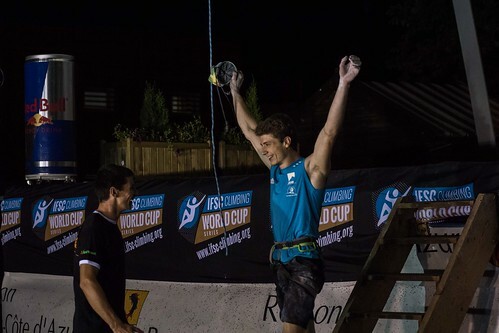 Sean McColl of Canada remained on the podium, and Frenchmen Romain Desgranges and Gautier Supper also excelled in front of their home crowd. 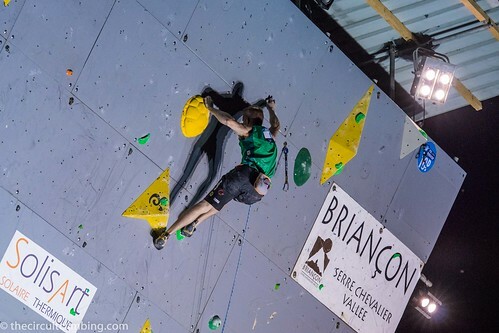 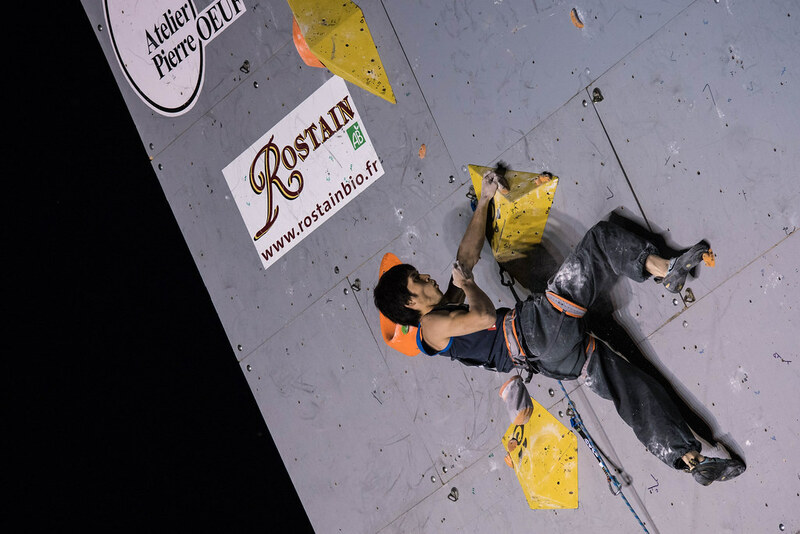 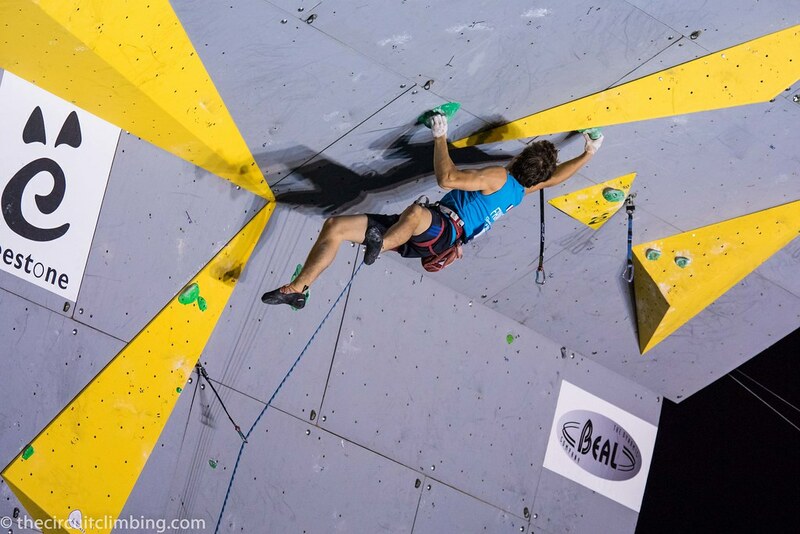 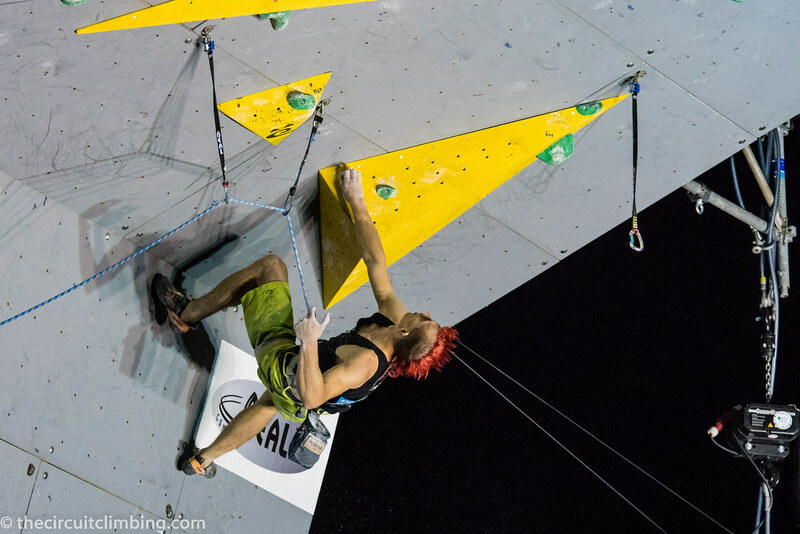 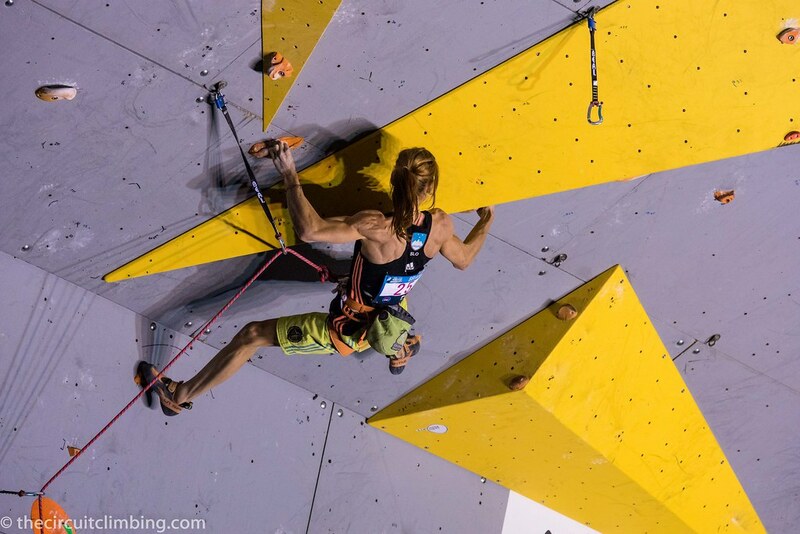 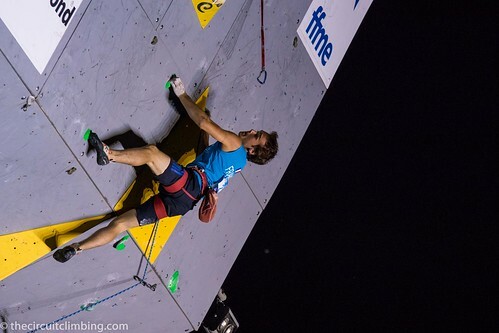 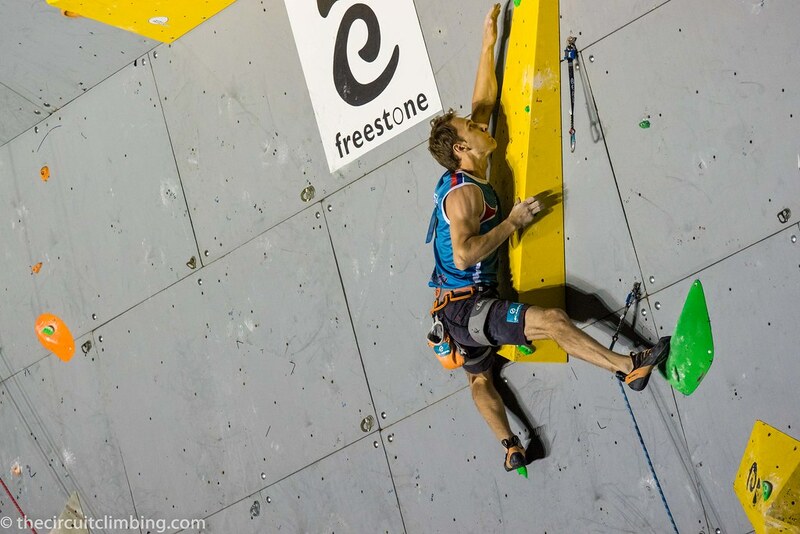 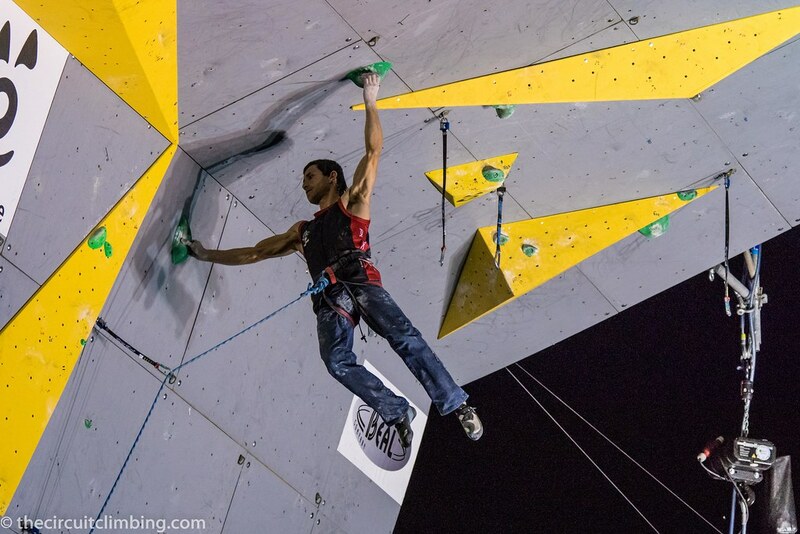 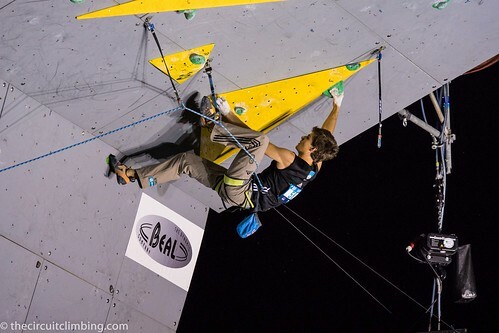 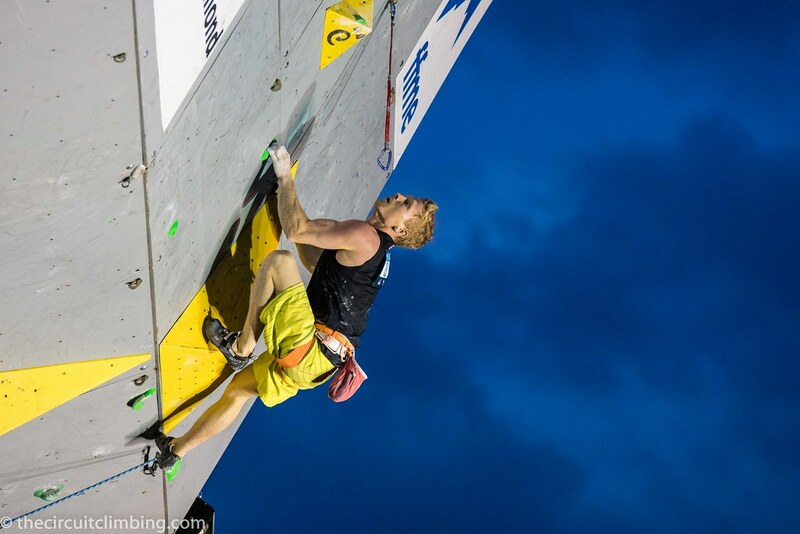 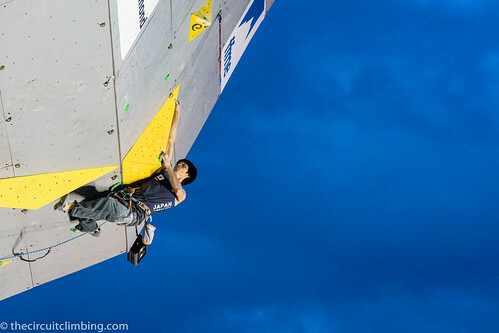 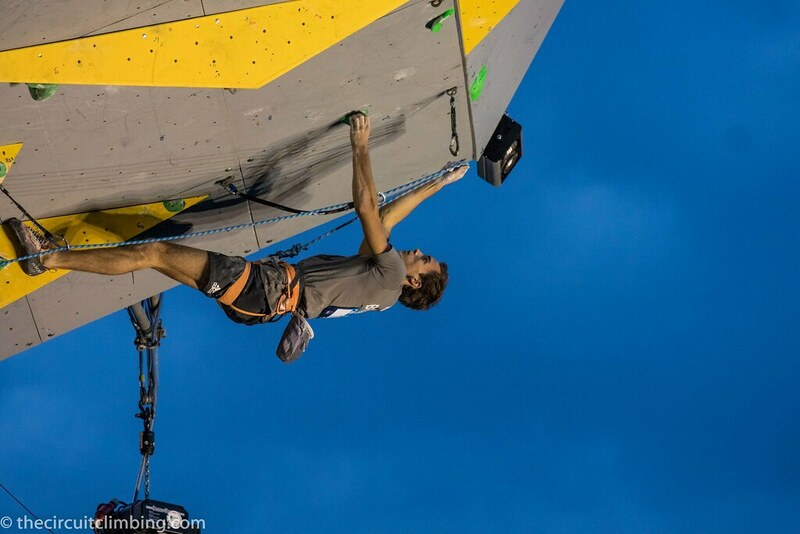 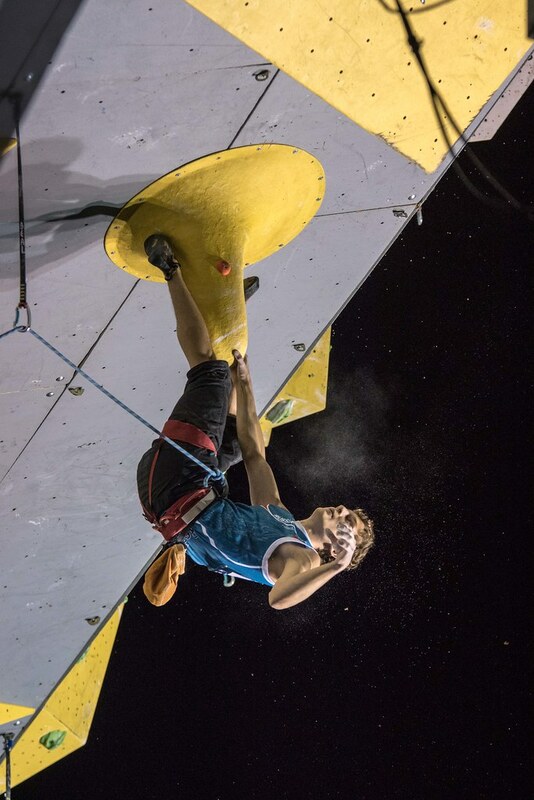 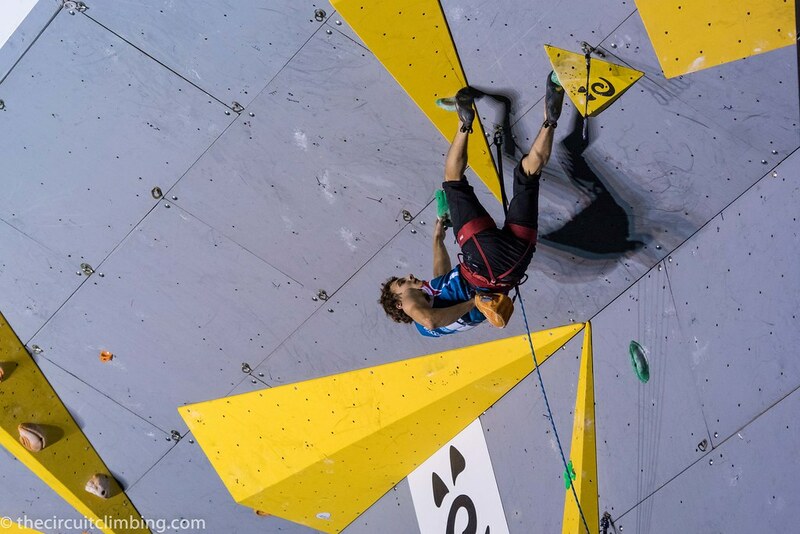 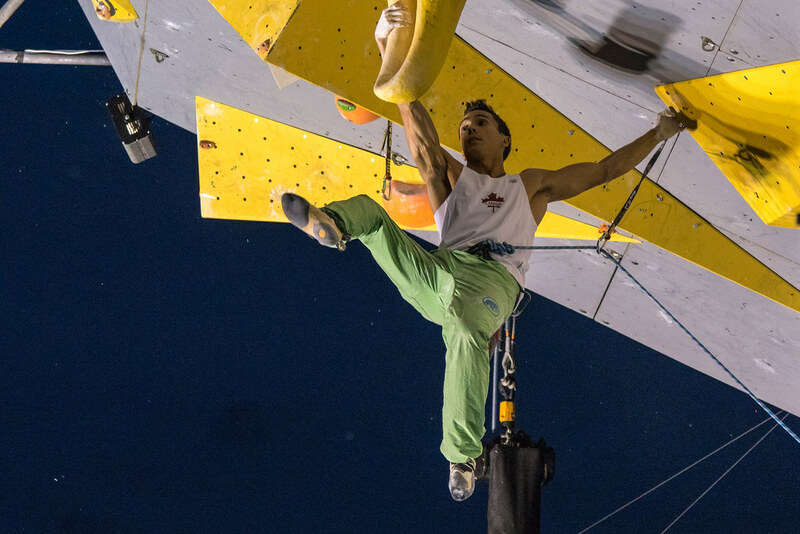 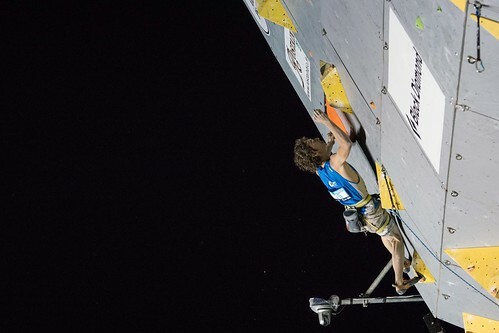 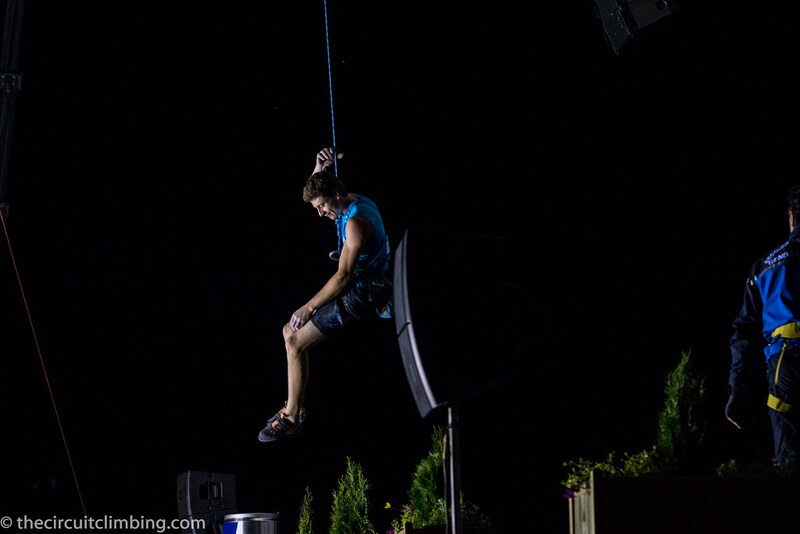 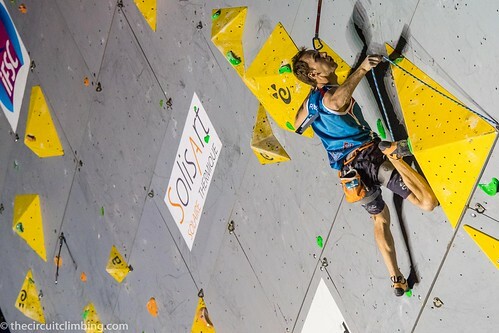 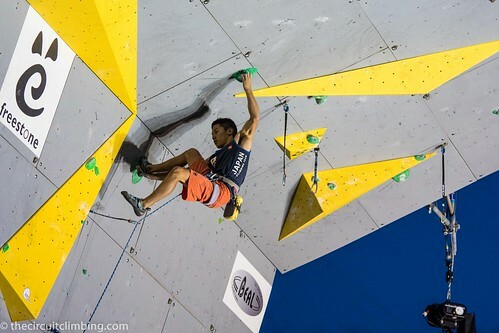 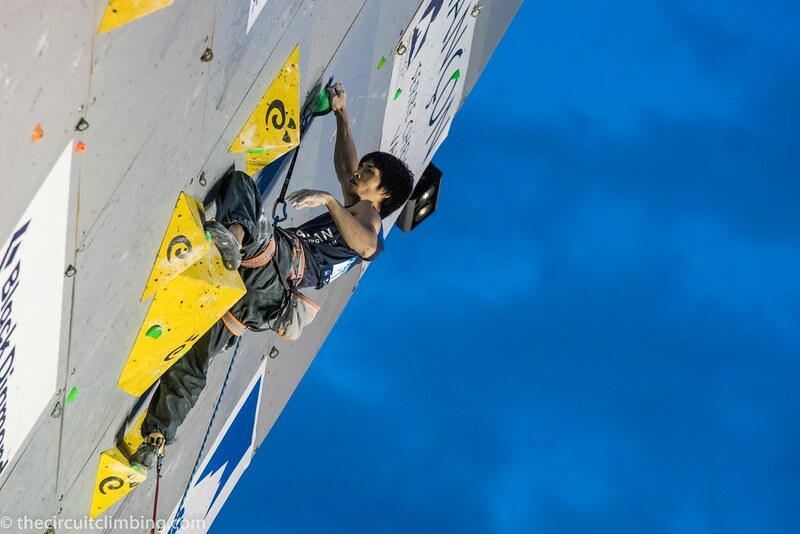 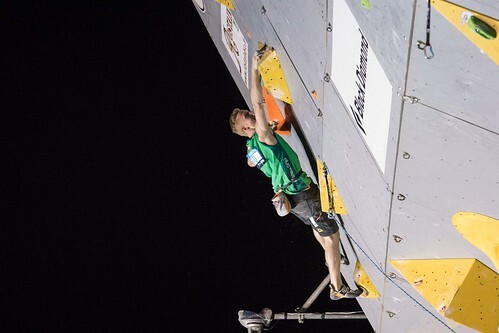 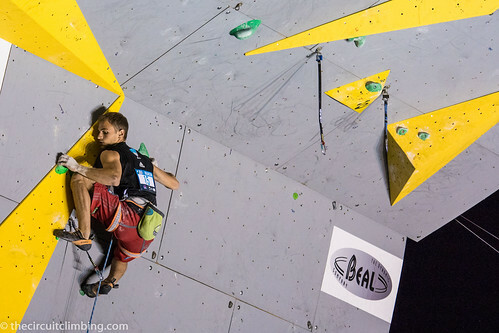 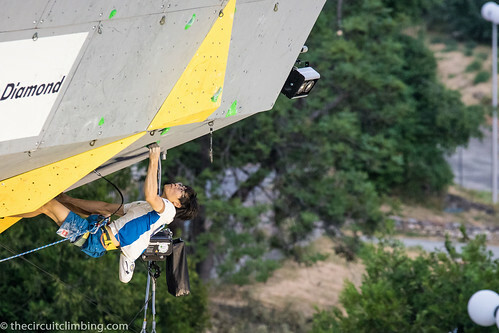 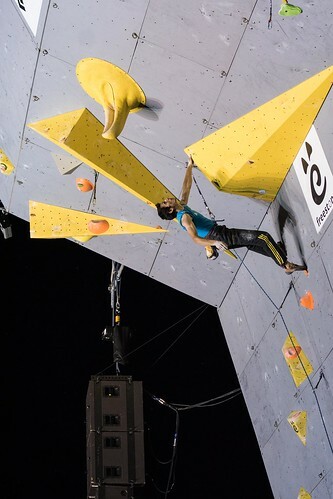 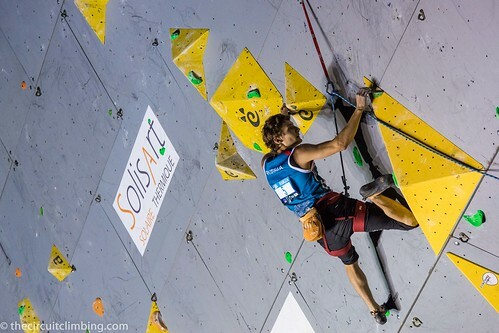 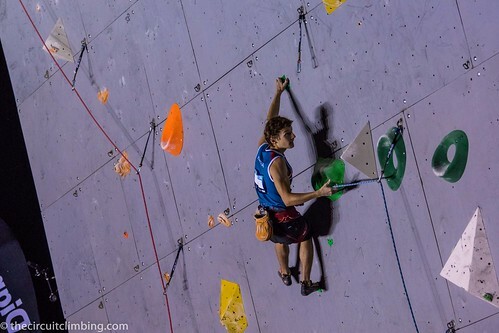 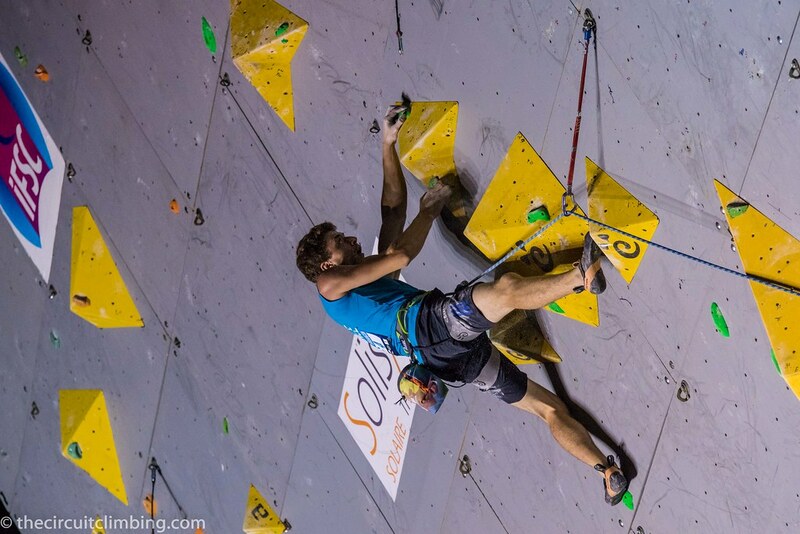 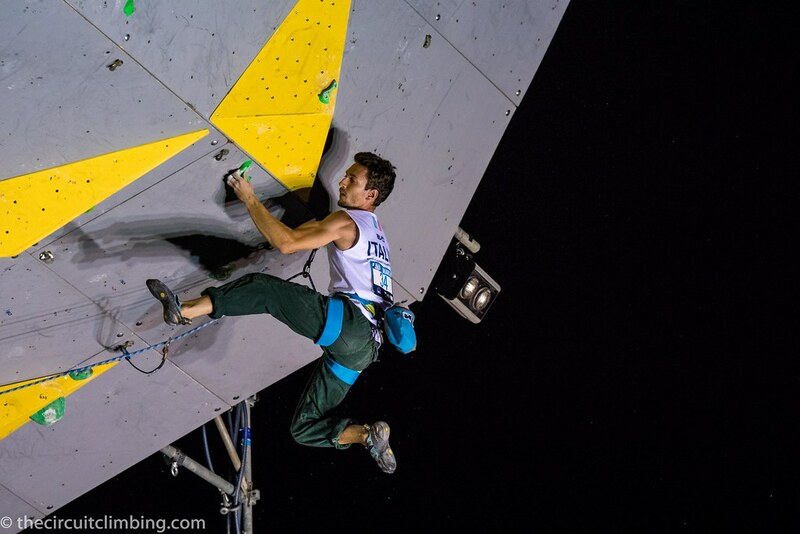 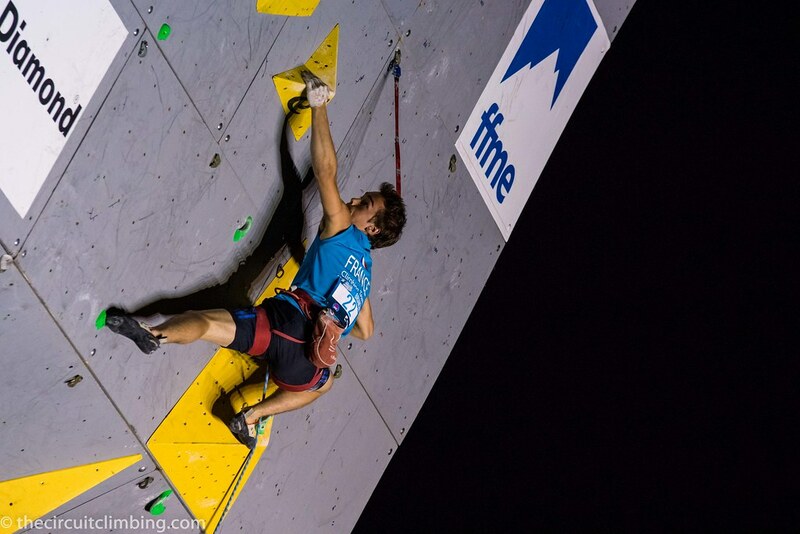 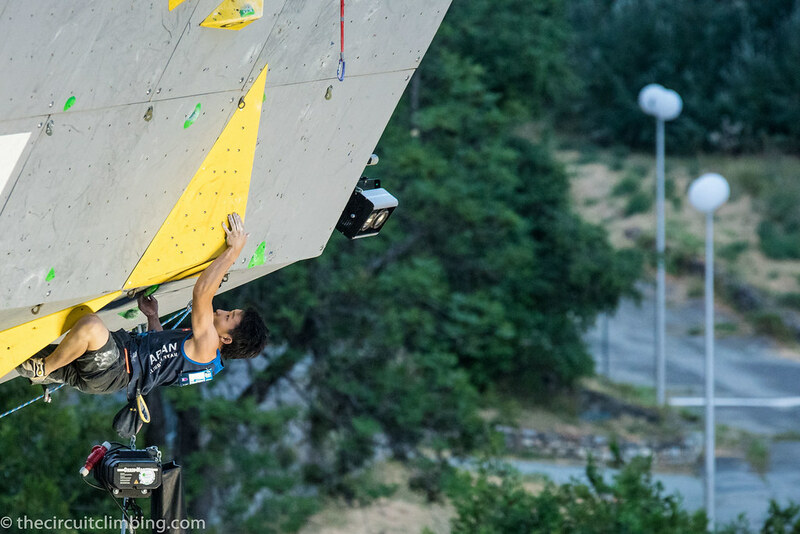 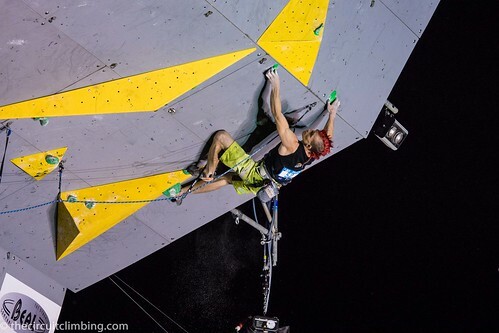 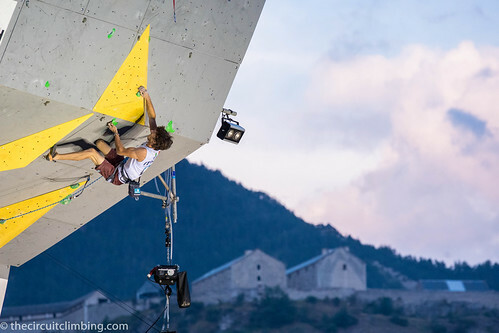 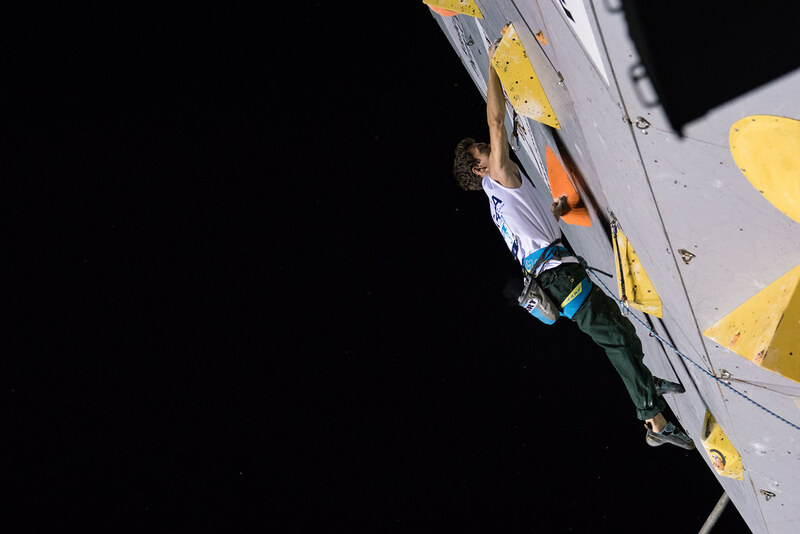 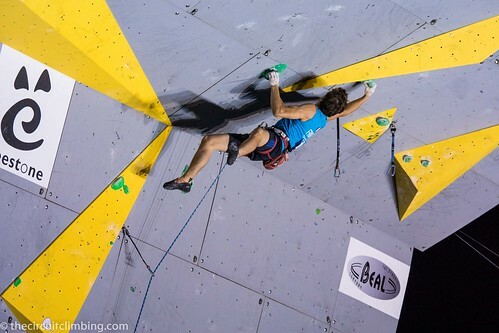 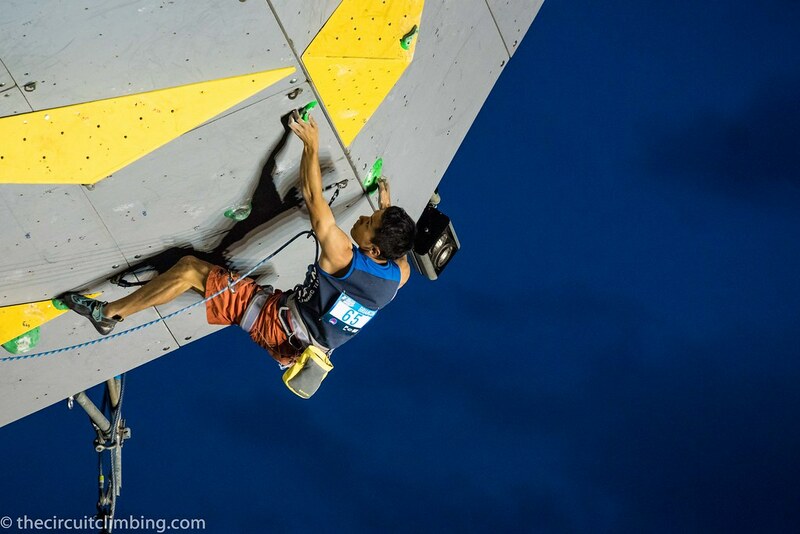 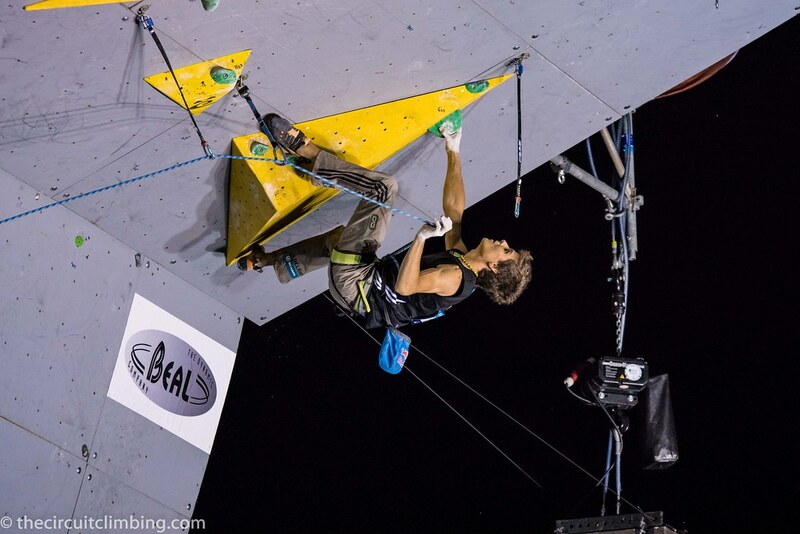 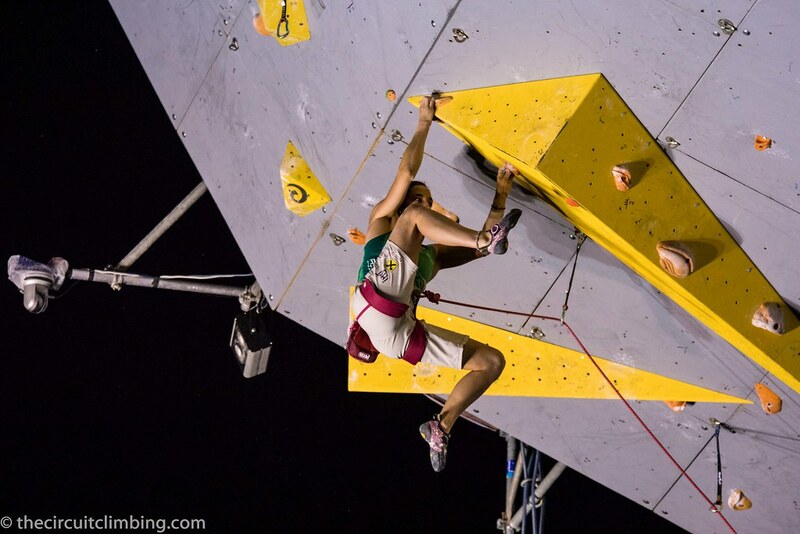 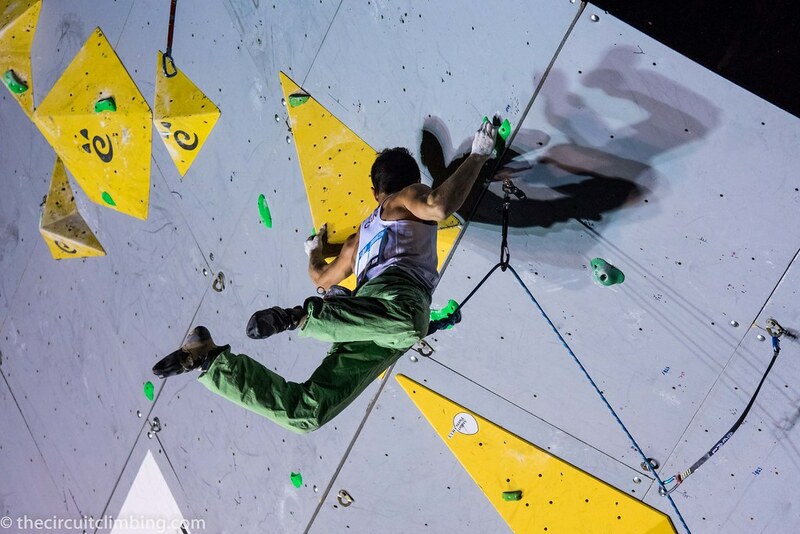 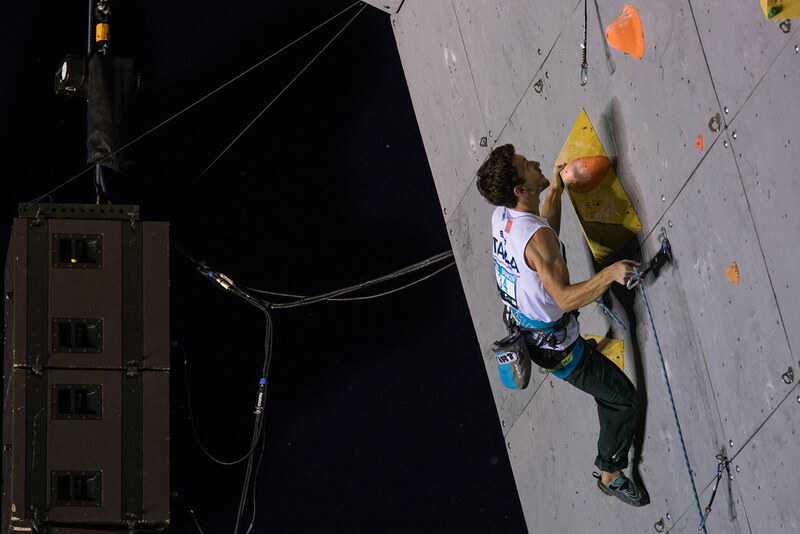 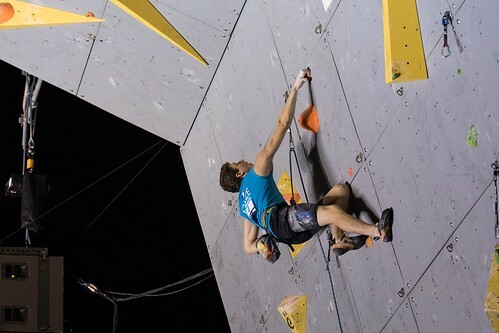 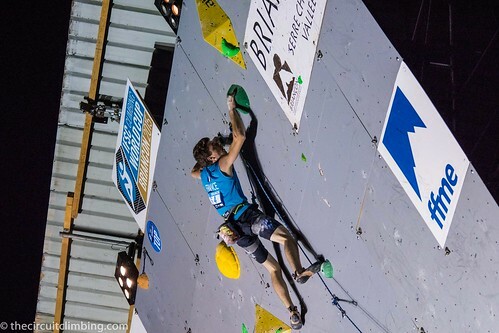 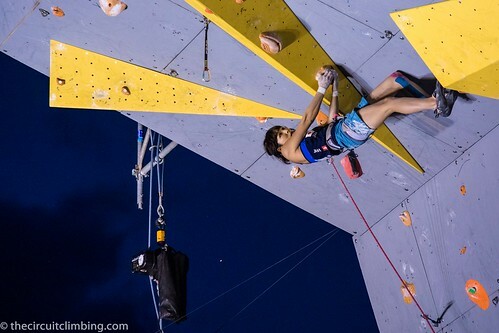 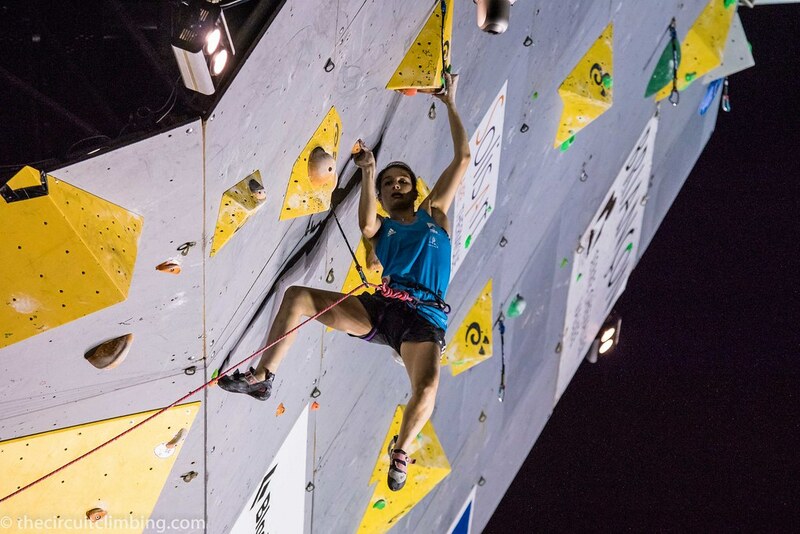 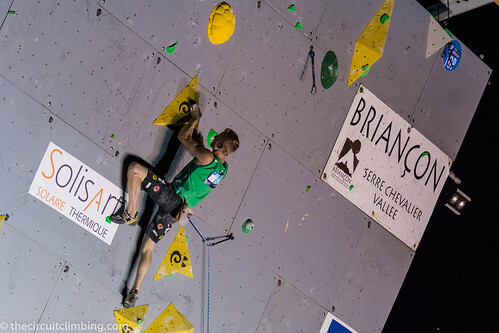 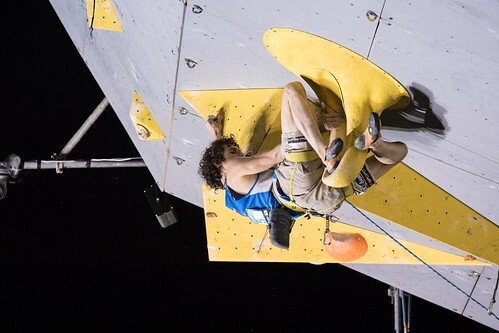 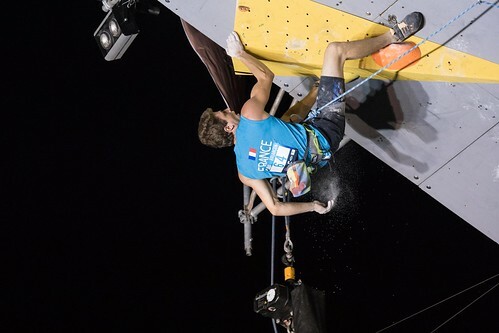 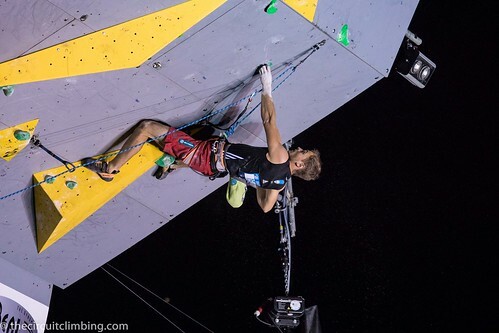 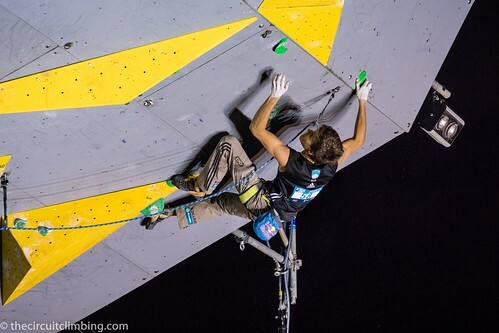 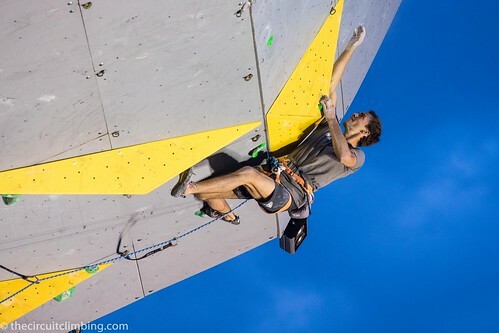 The Men's Finals route consisted of a slippery beginning, followed by poweful compression climbing up to a tufa rest which preceded the technical top panel. Multiple athletes slipped early, including veteran Jakob Schubert of Austria. Supper was the first to make use of the no hands rest, but Desgrangres and McColl traversed a bit further on the upper section. 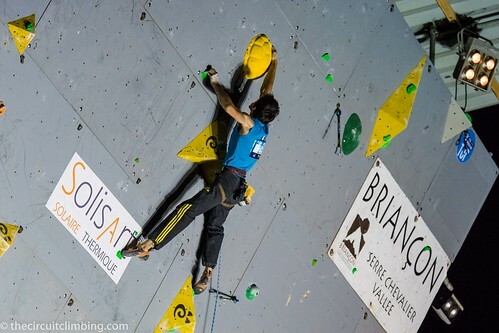 Only Skofic conserved enough energy to surpass Desgranges by one positive movement. 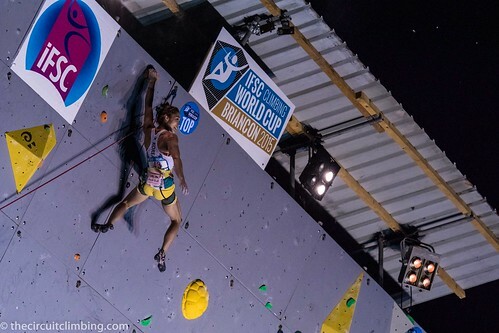 Garnbret had yet to be bested on any World Cup route this year, and she extended that streak to twelve routes after Briancon. 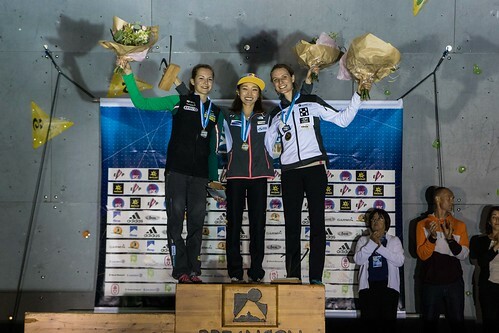 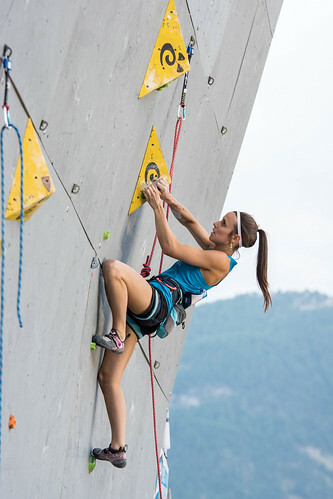 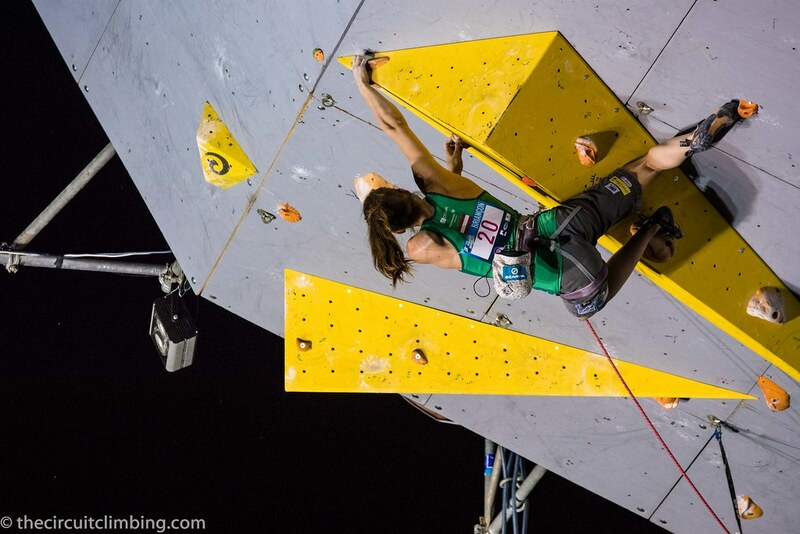 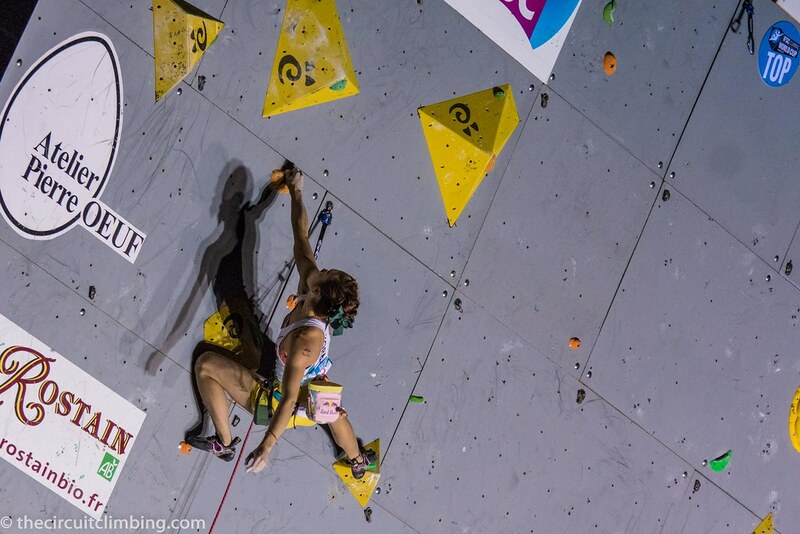 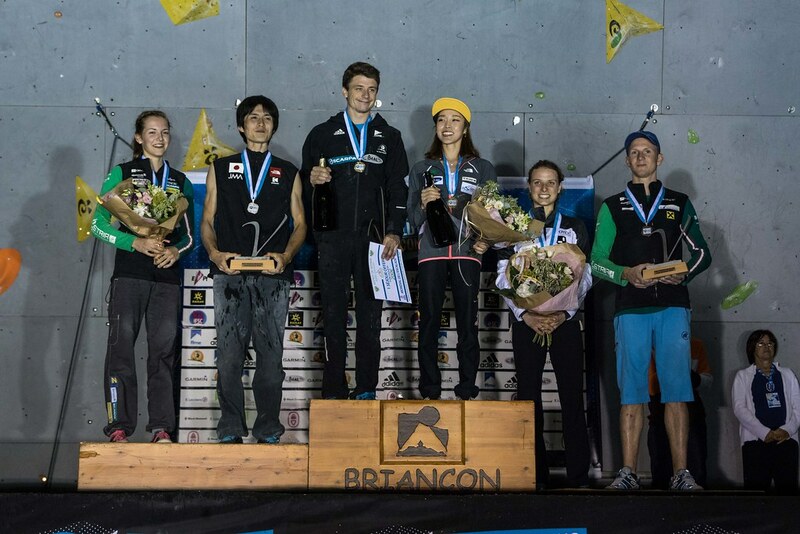 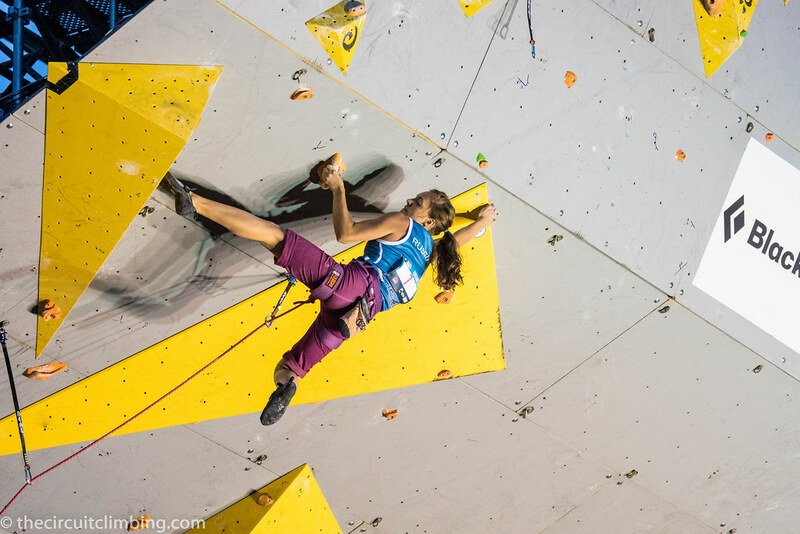 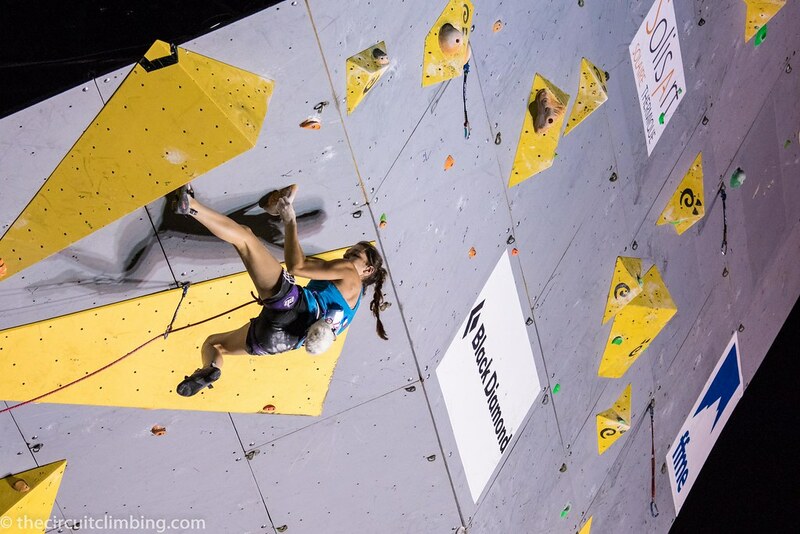 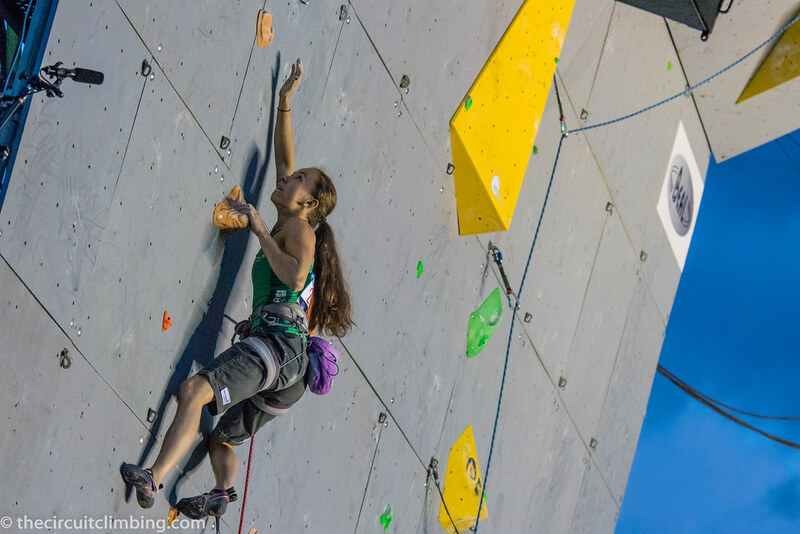 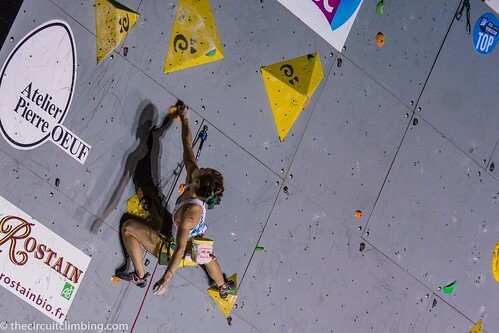 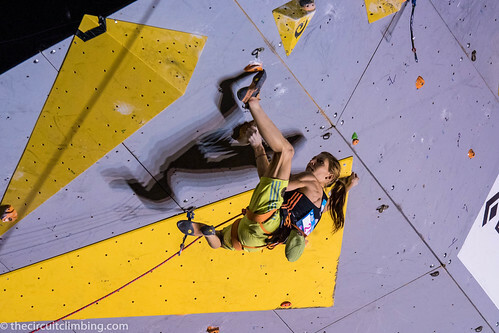 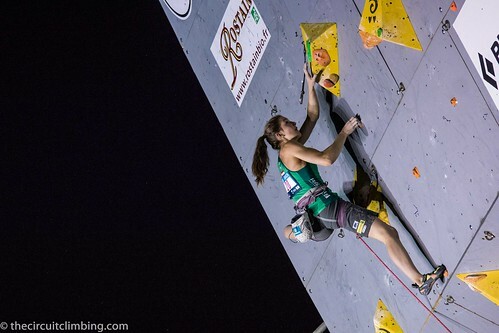 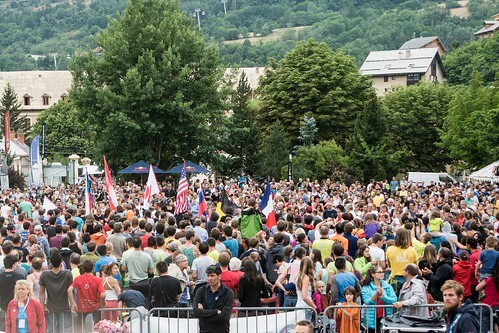 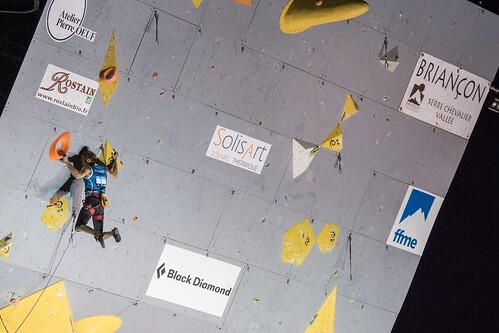 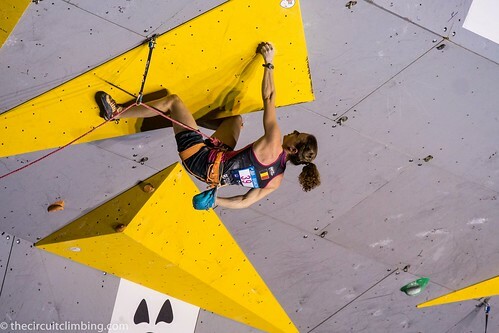 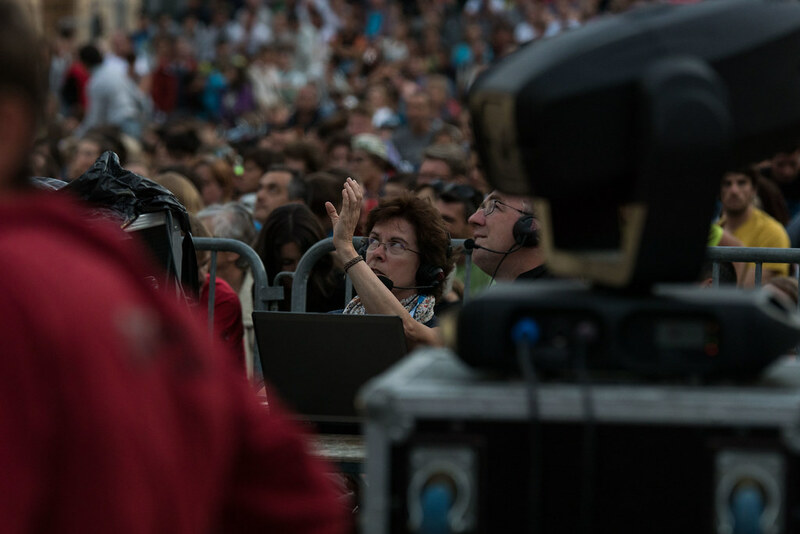 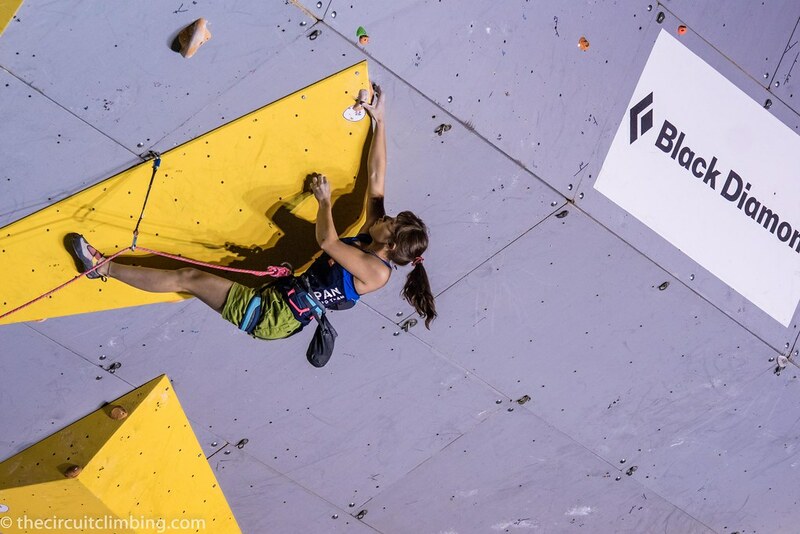 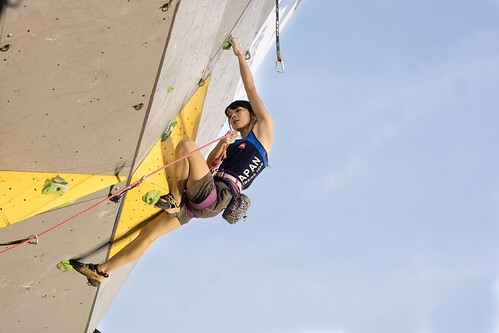 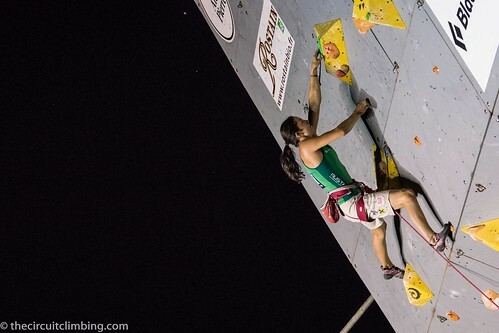 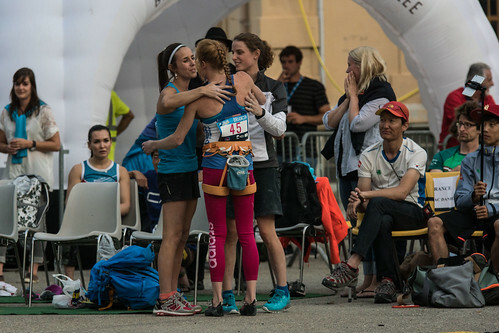 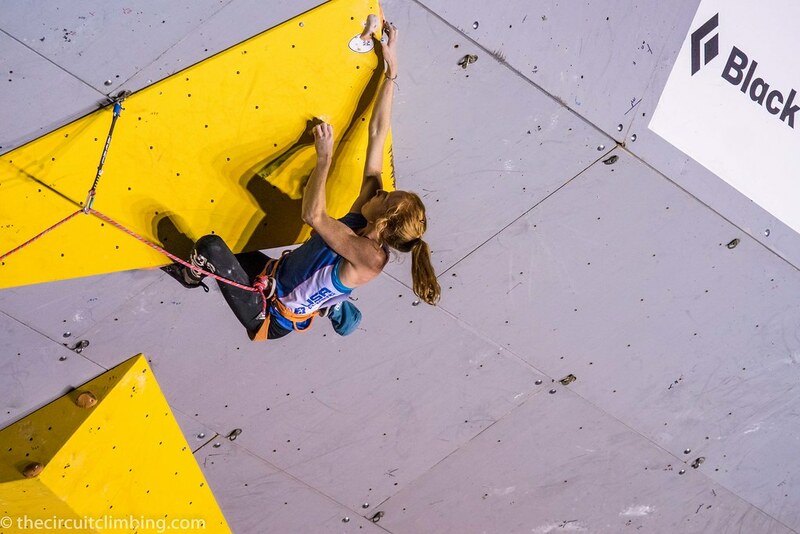 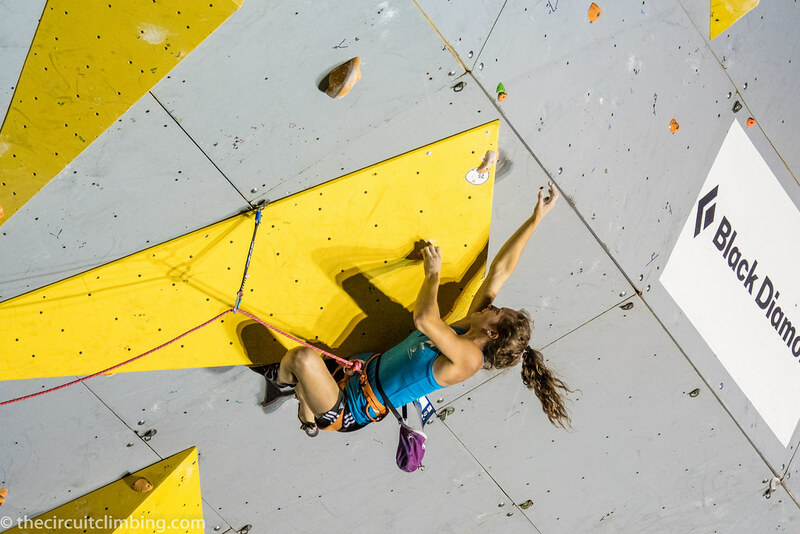 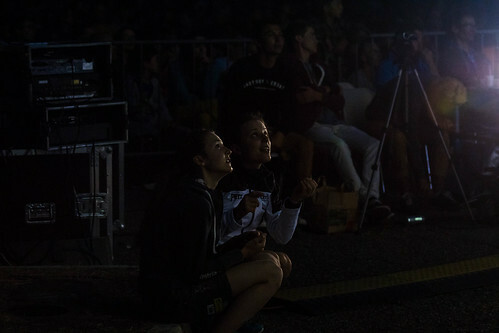 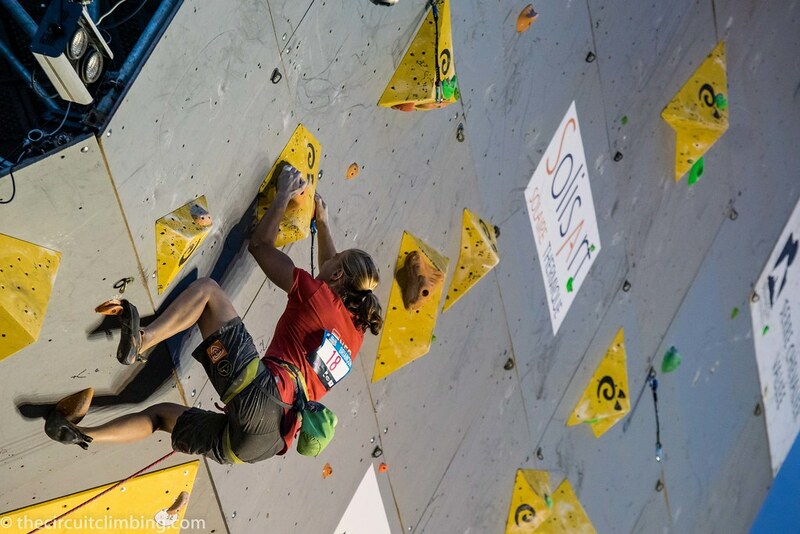 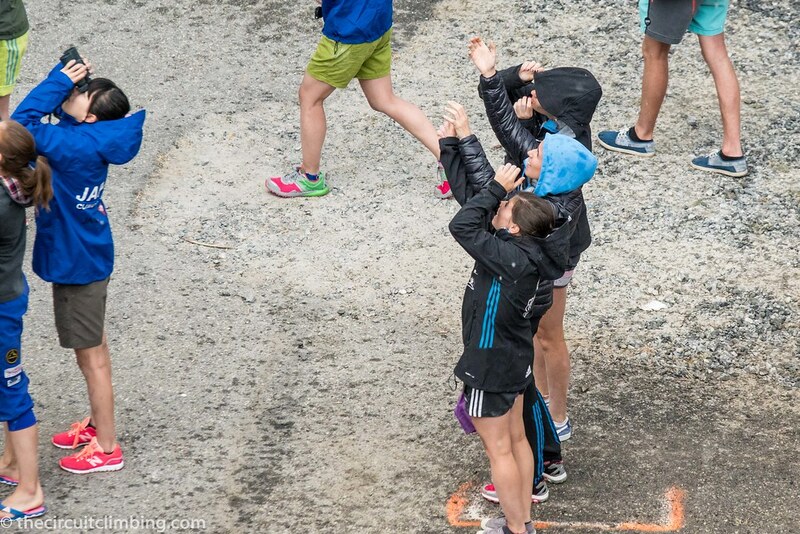 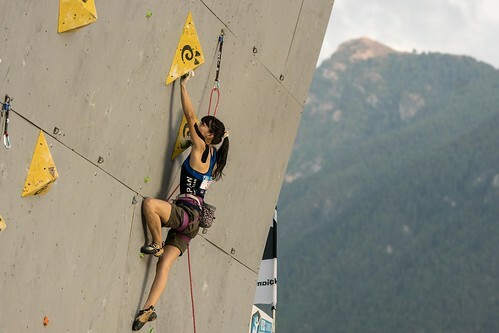 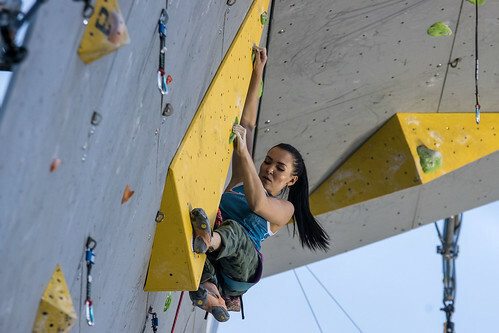 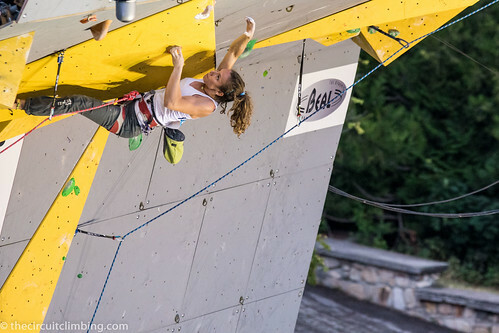 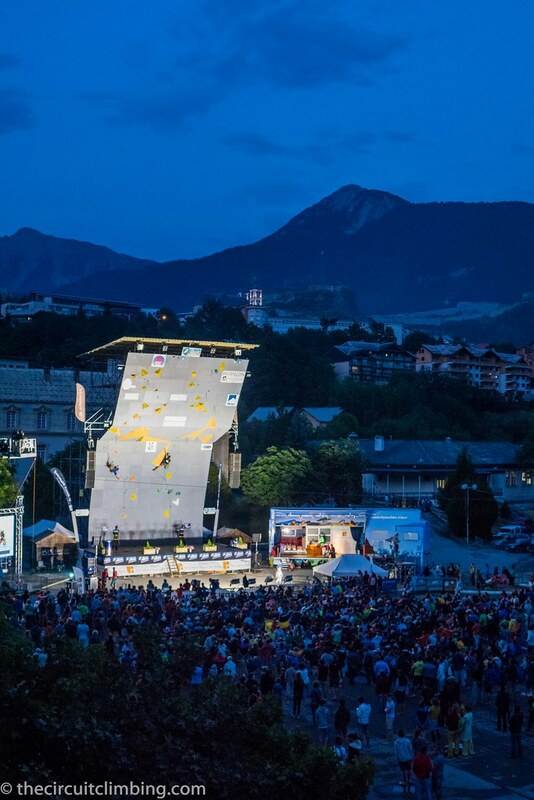 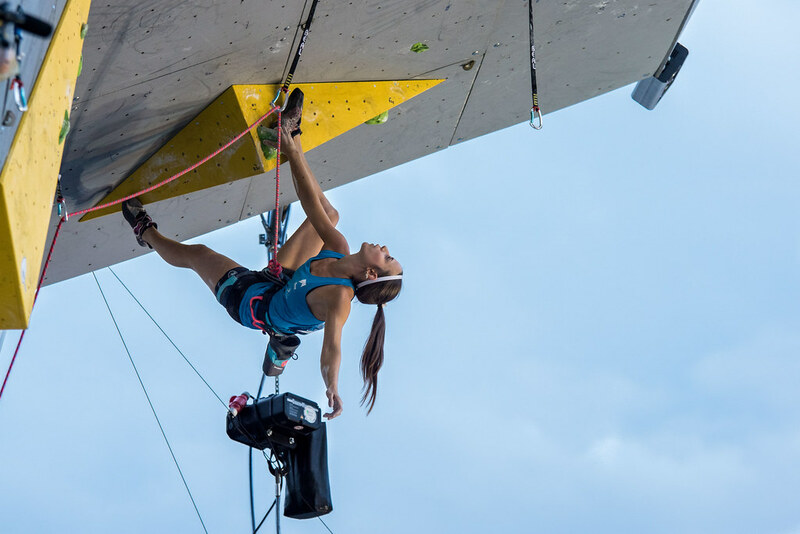 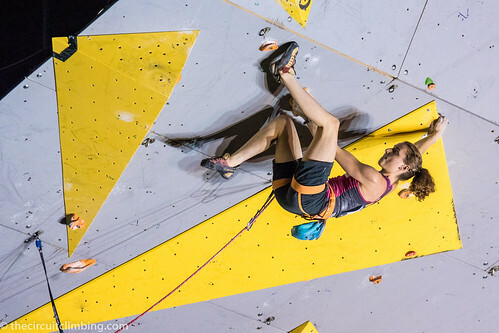 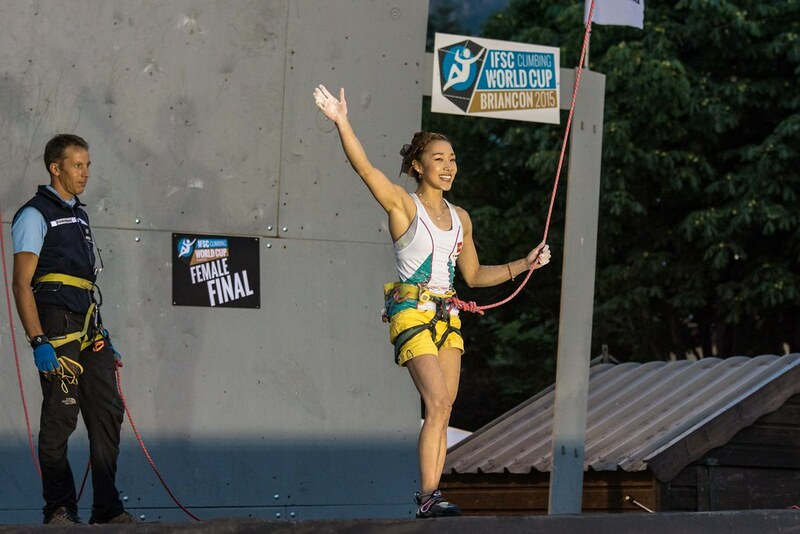 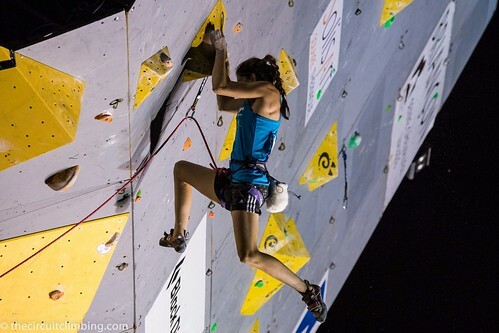 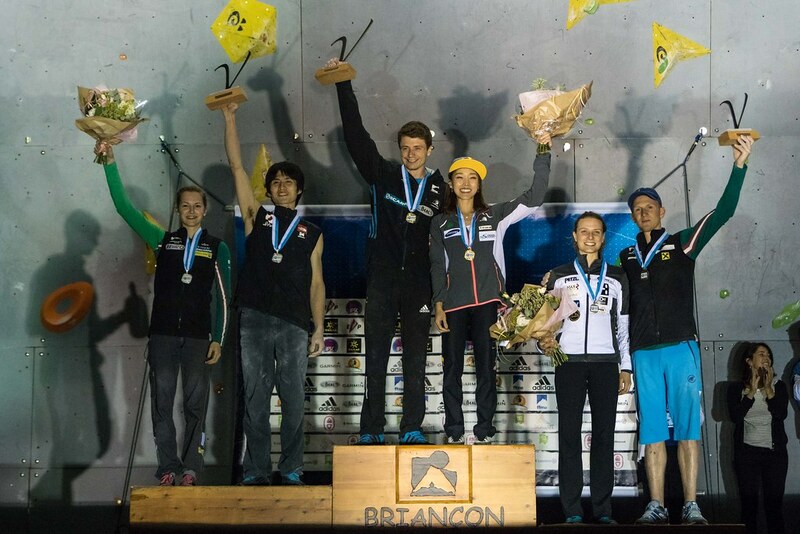 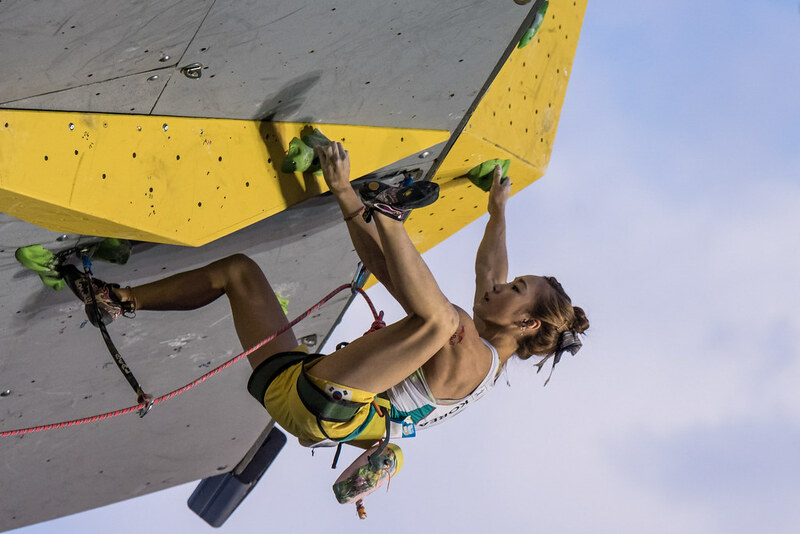 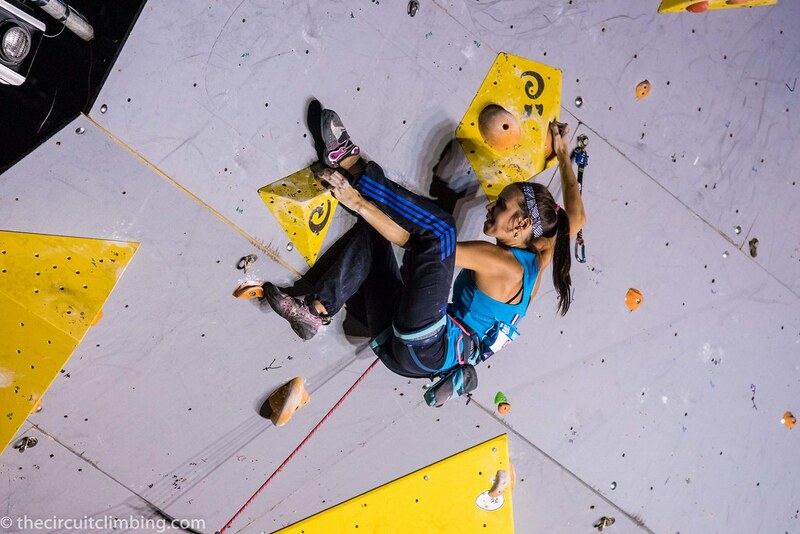 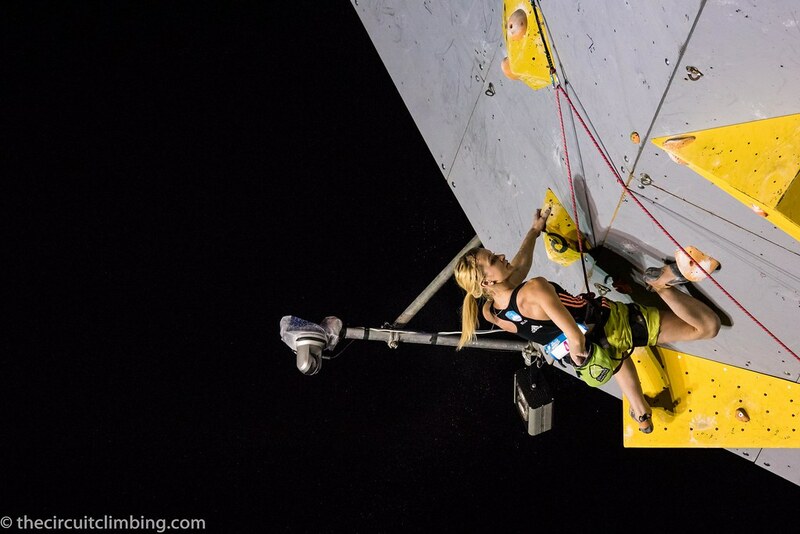 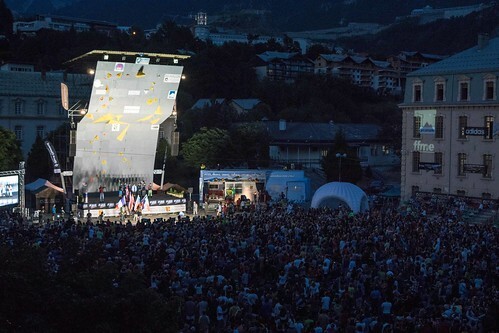 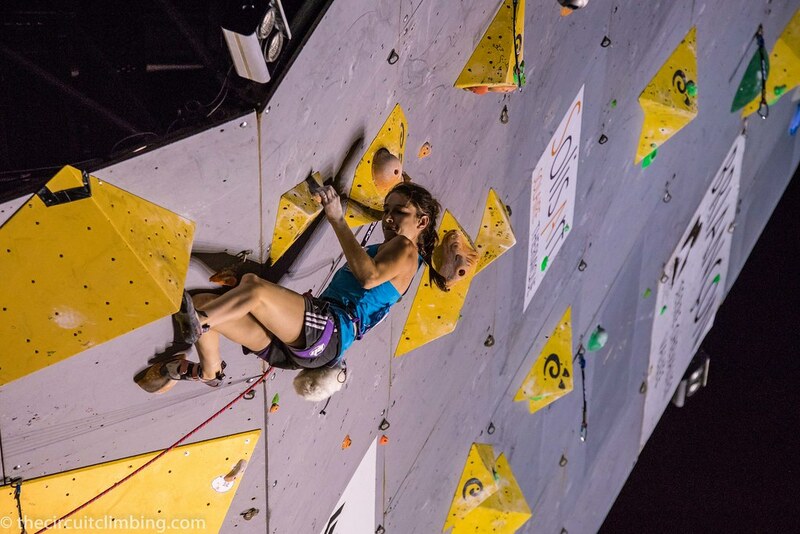 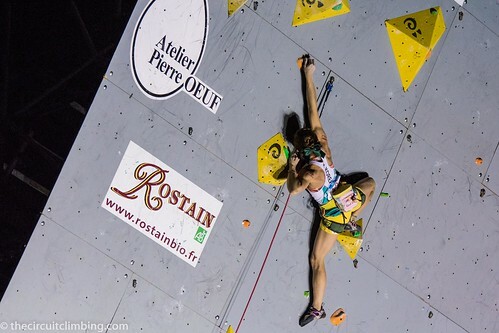 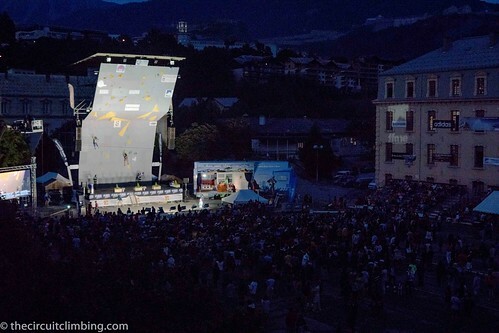 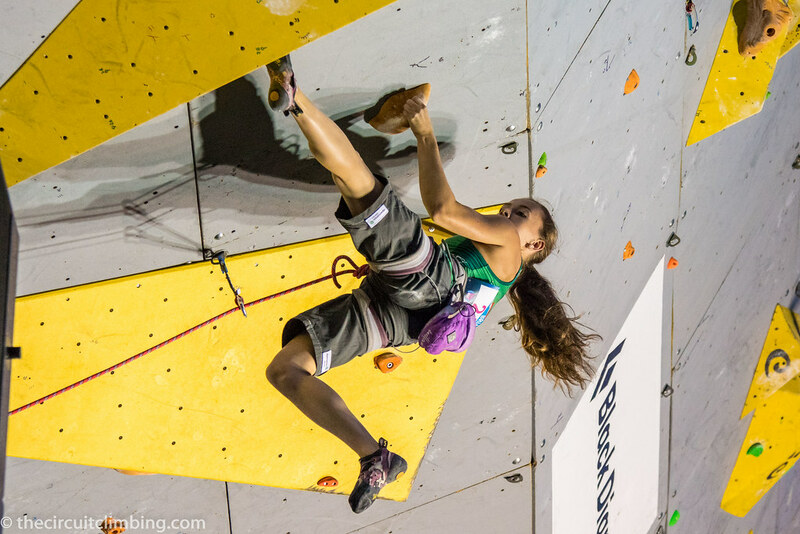 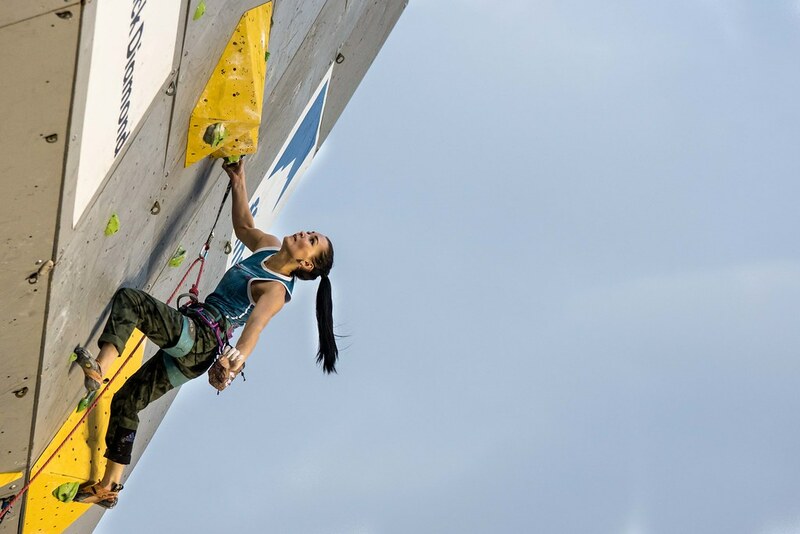 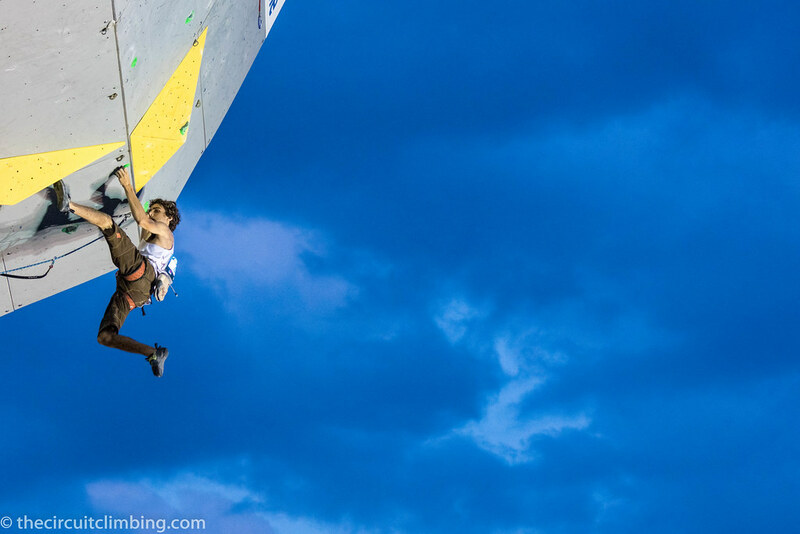 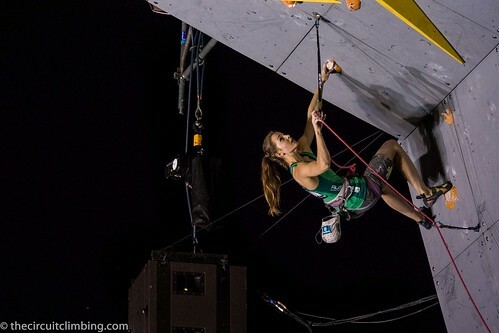 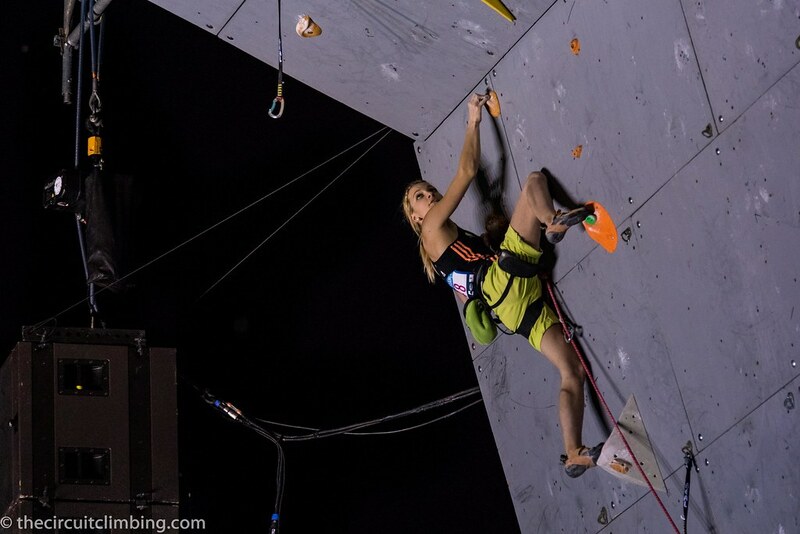 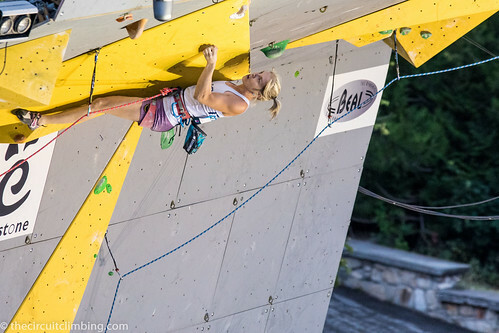 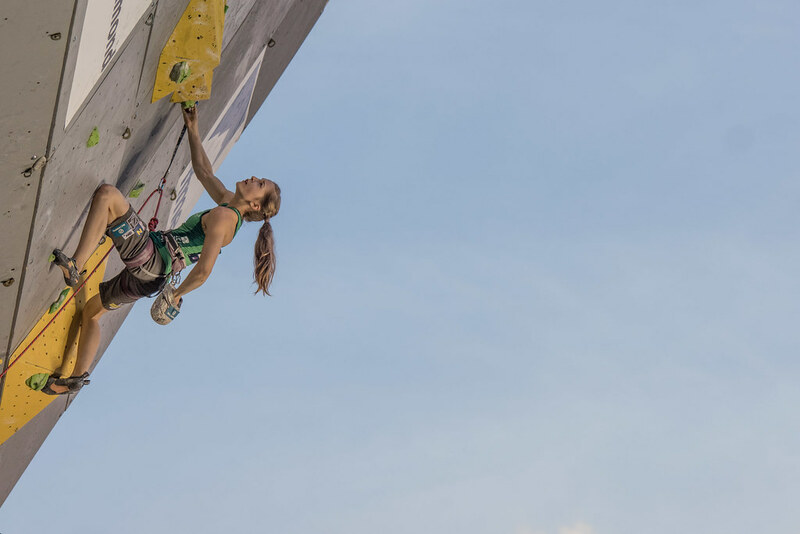 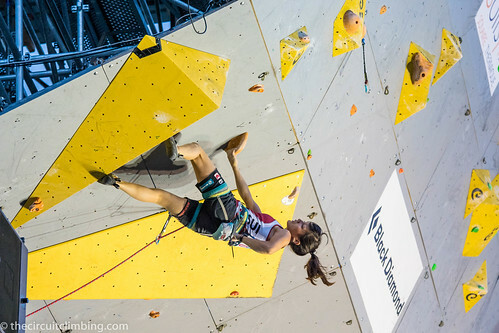 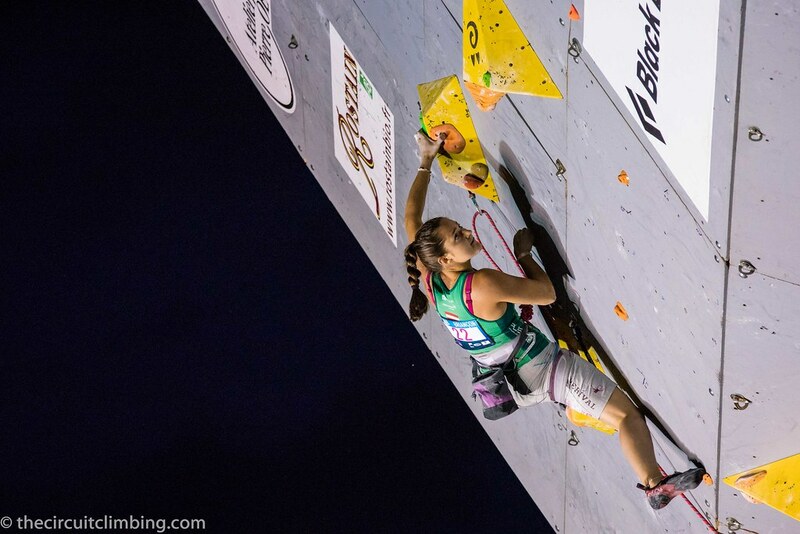 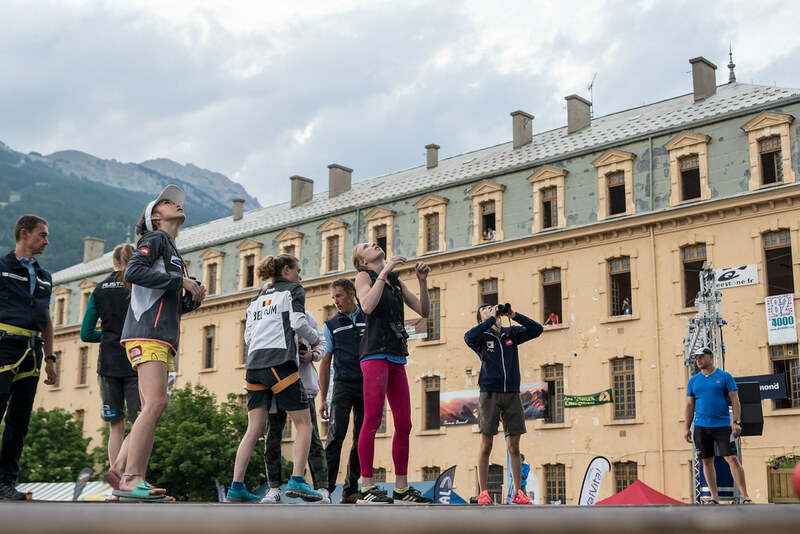 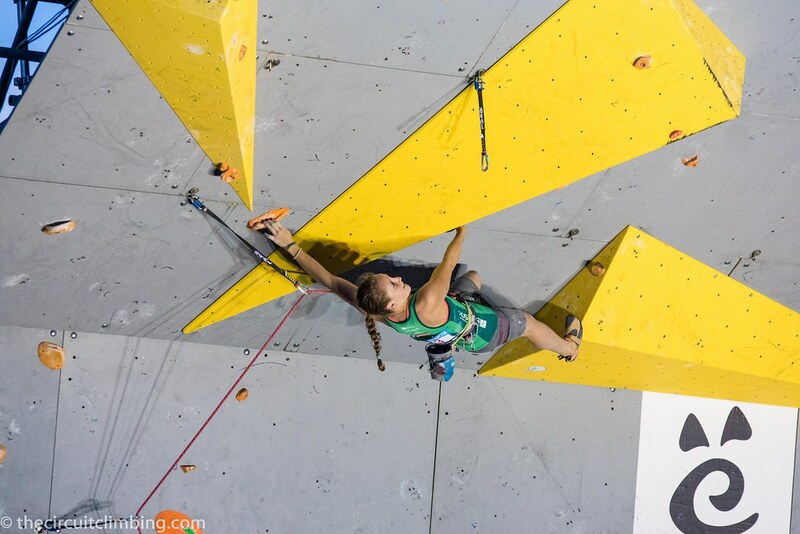 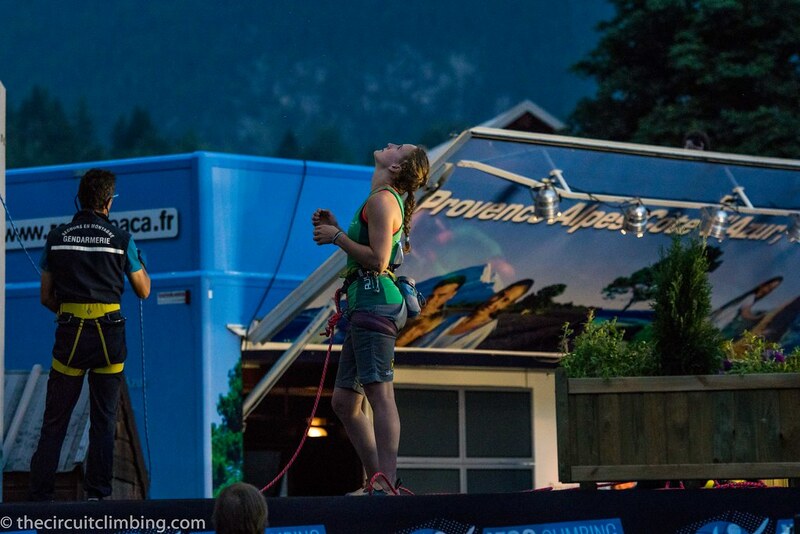 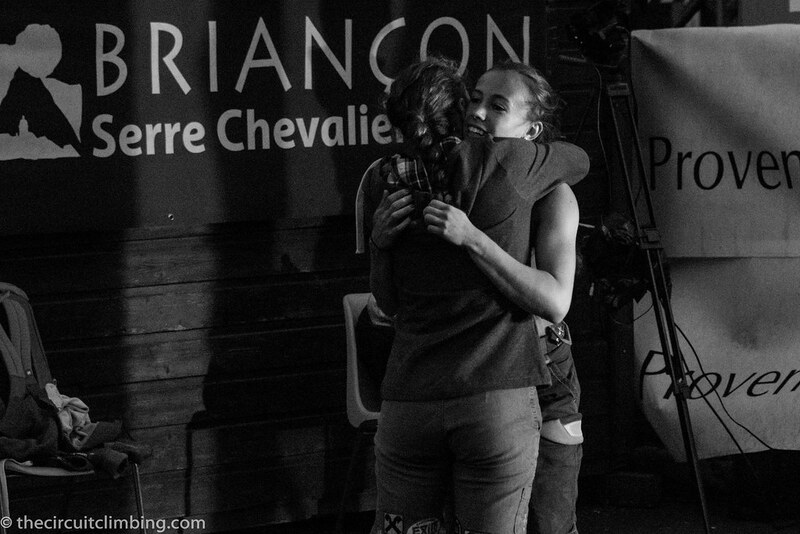 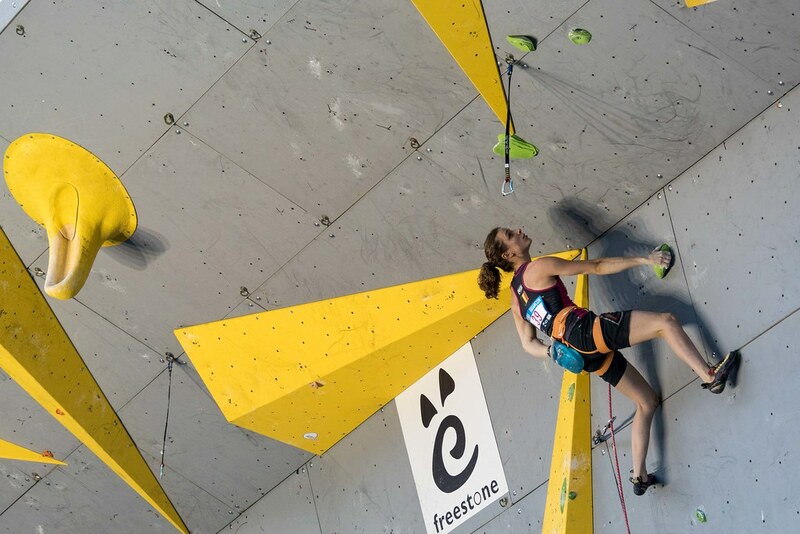 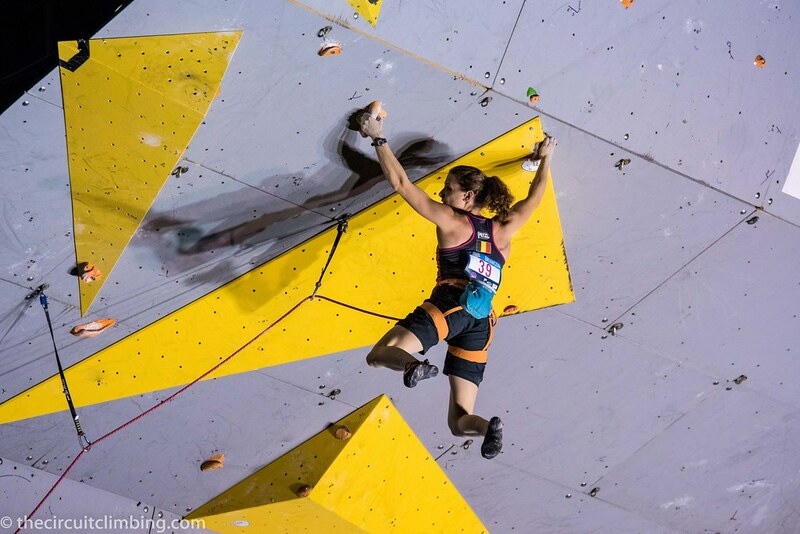 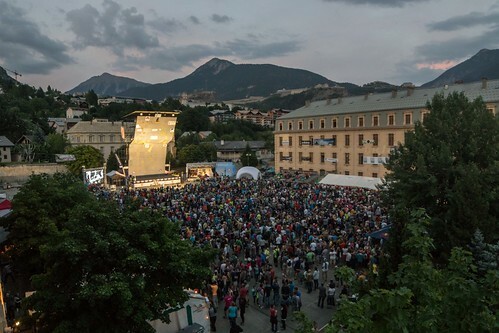 Both Jessica Pilz and Magdalena Rock brought home hardware for Austria, and French climbers Helene Janicot and Mathilde Becerra also appeared in the Finals. For the Women, extended and dynamic moves on low percentage holds dominated the steep middle section. 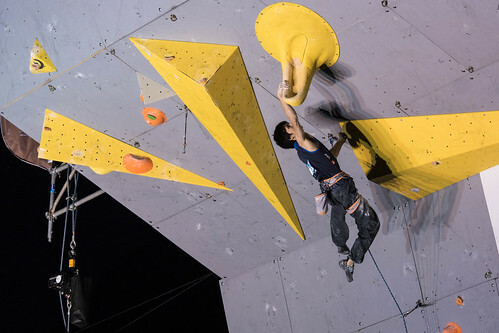 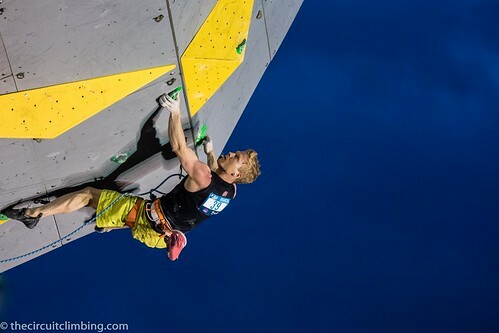 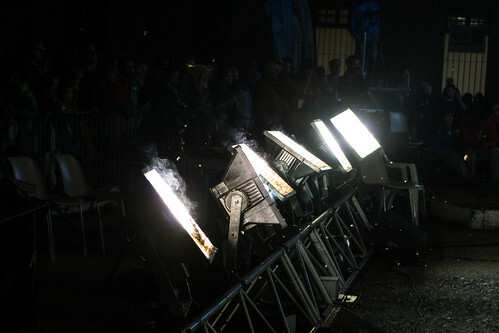 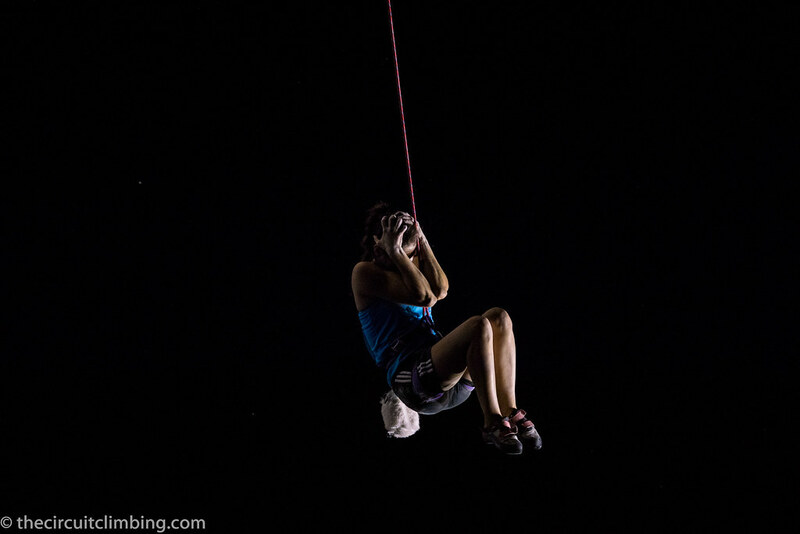 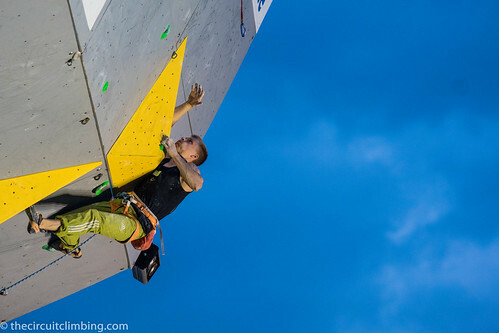 Most climbers connected the sequence, but Anak Verhoeven of Belgium peeled off on the double dyno. 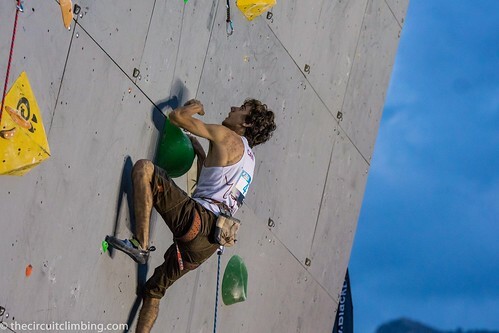 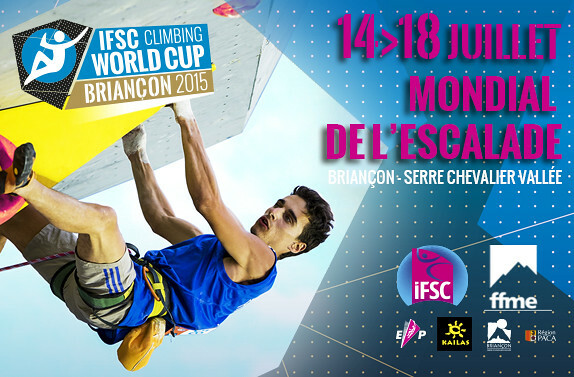 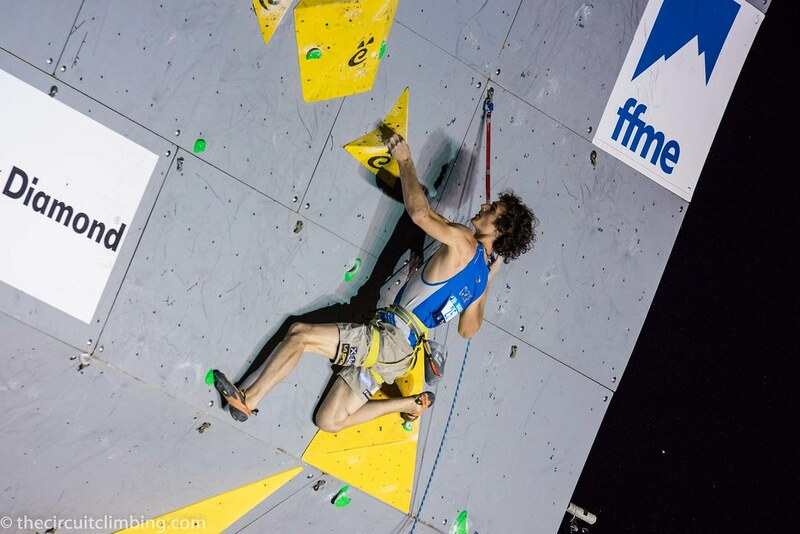 Pilz and Rock solved the powerful and damp upper crux, with Rock settling for third place after a countback to Semis. 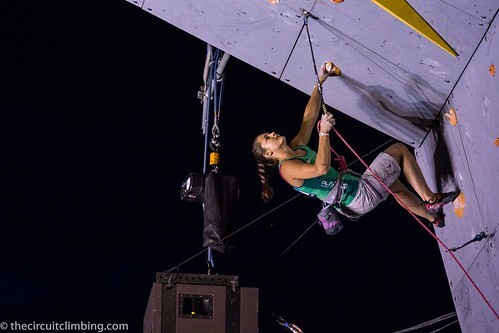 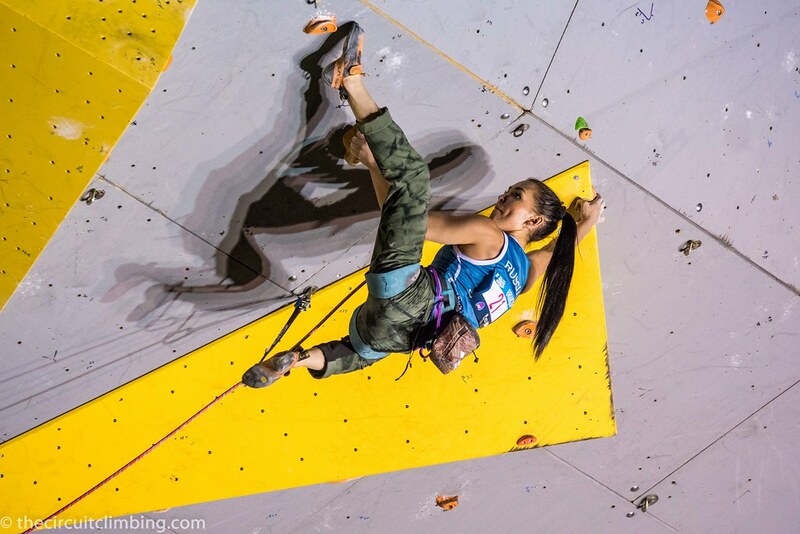 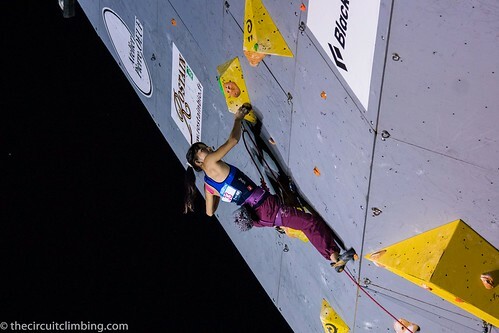 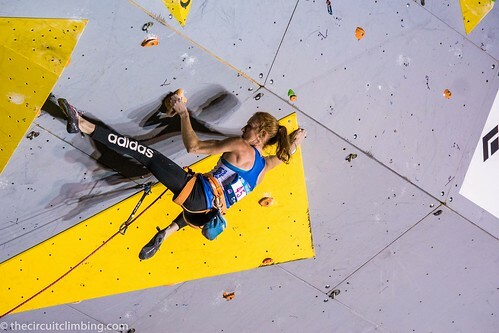 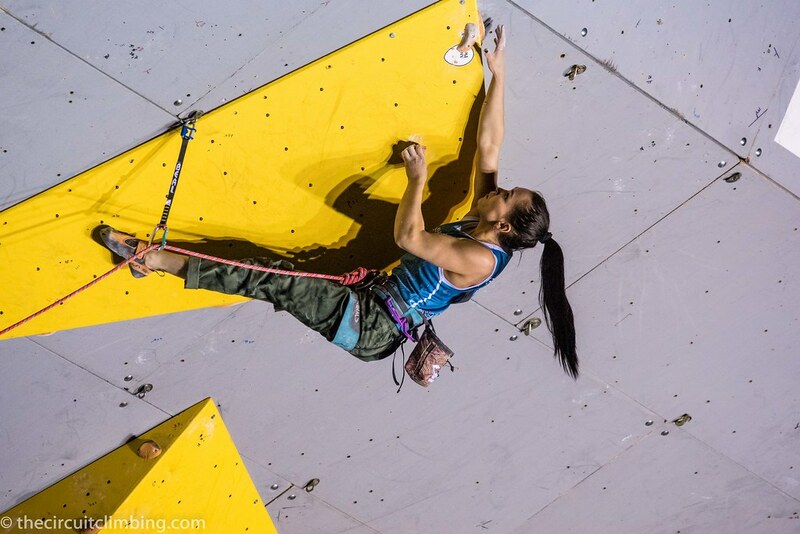 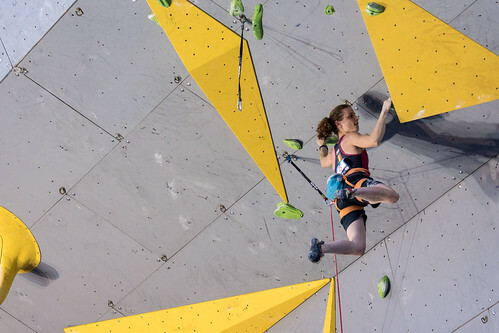 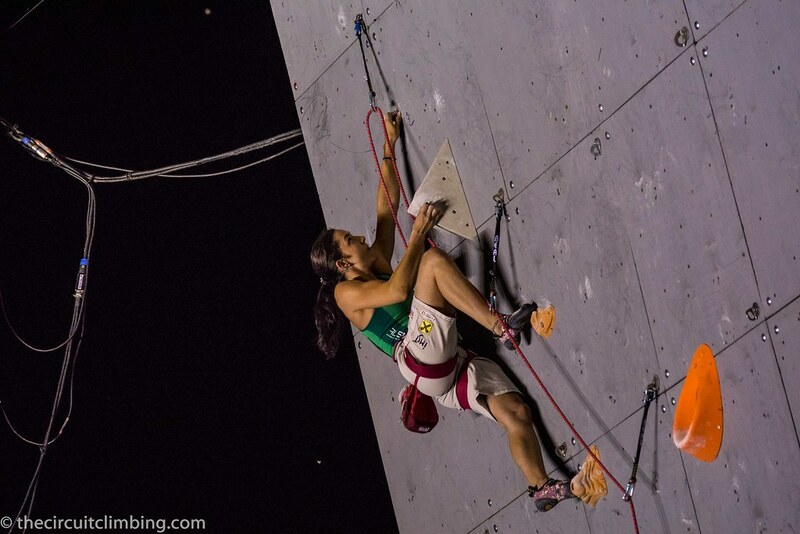 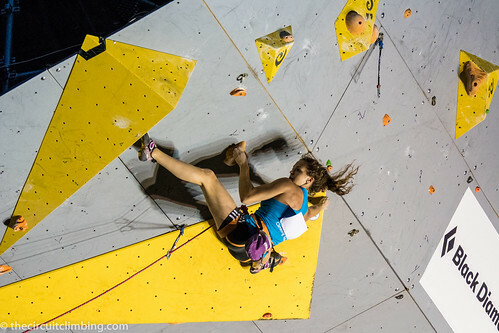 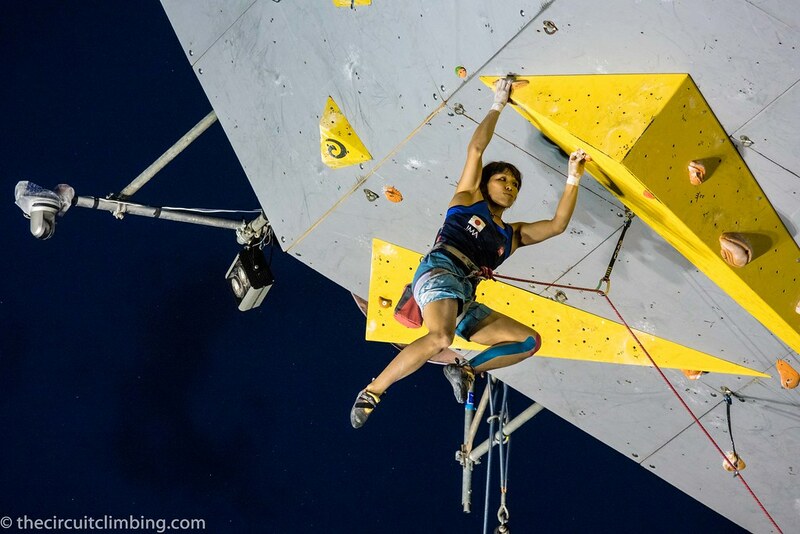 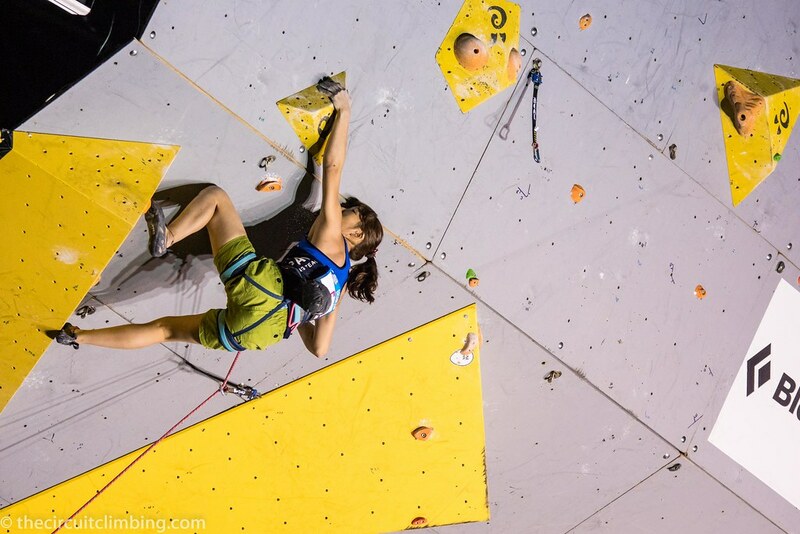 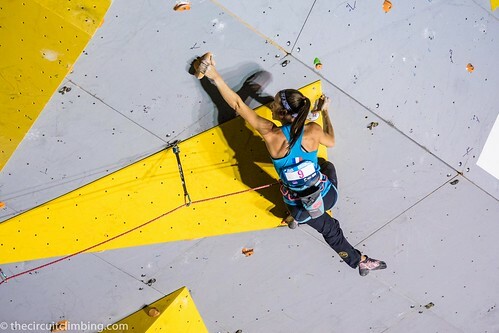 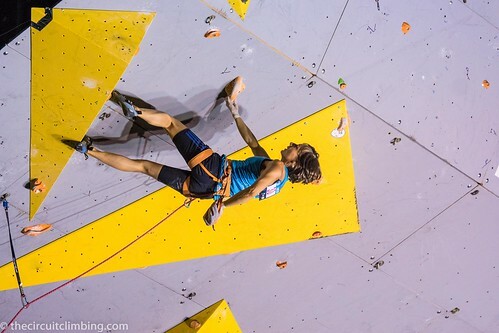 Although time disqualified Garnbret's impressive Top, she was still the sole athlete to touch the final crimps in the time allotted.